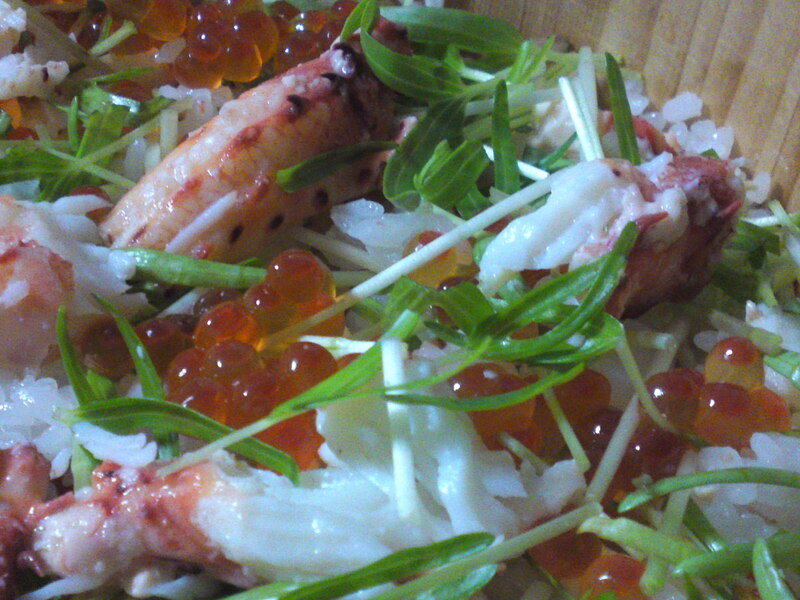 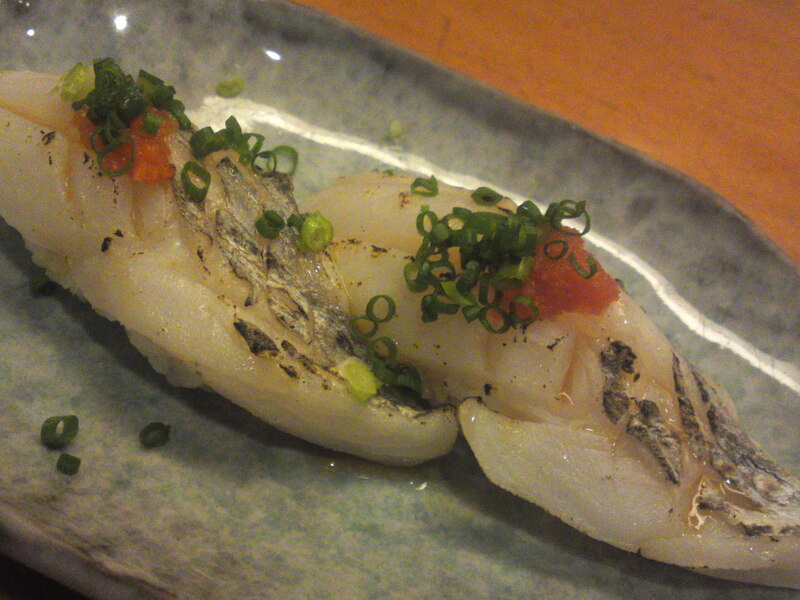 Tachiuo Aburi/太刀魚炙り/Seared scabbard fish nigiri with momijiorosi/紅葉下ろし/grated daikon with chili pepper and ponzu! 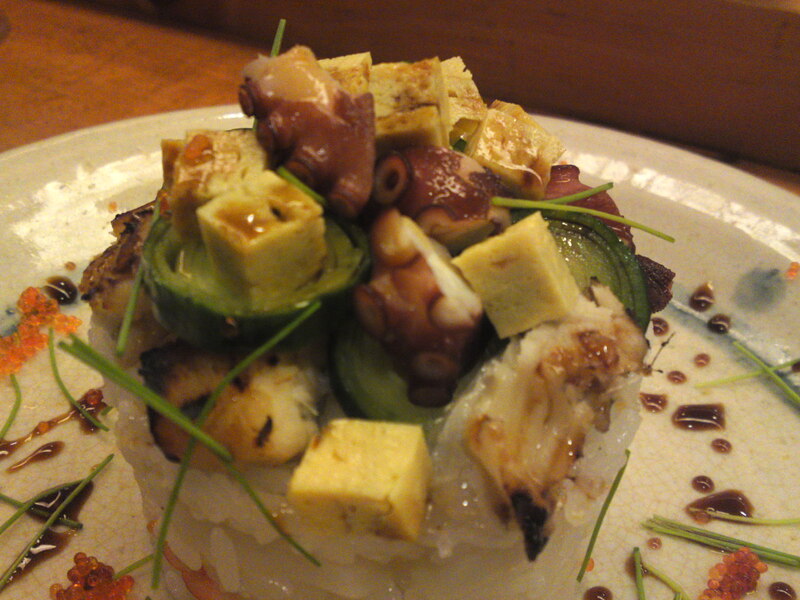 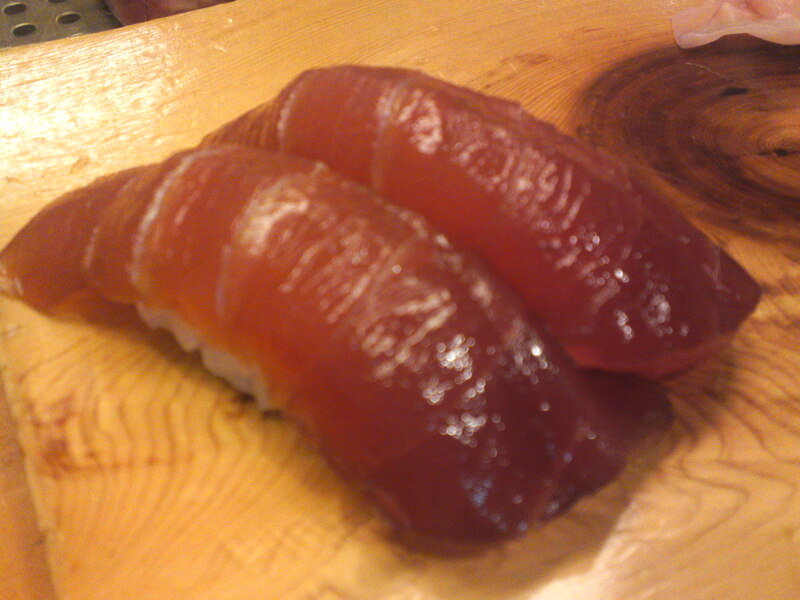 Sushi Gastronomy at Sushi Ko in Shizuoka City (July 2012)! 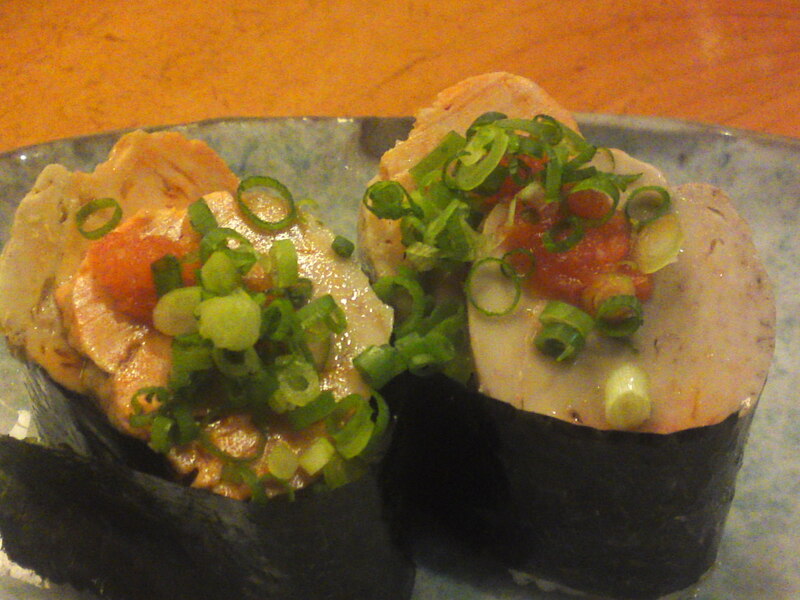 Time had finally come last night when we both agreed that a visit to our favorite sushi restaurant in Shizuoka City, namely Sushi Ko/すし幸 had been long overdue and that we ought to sample Chef. 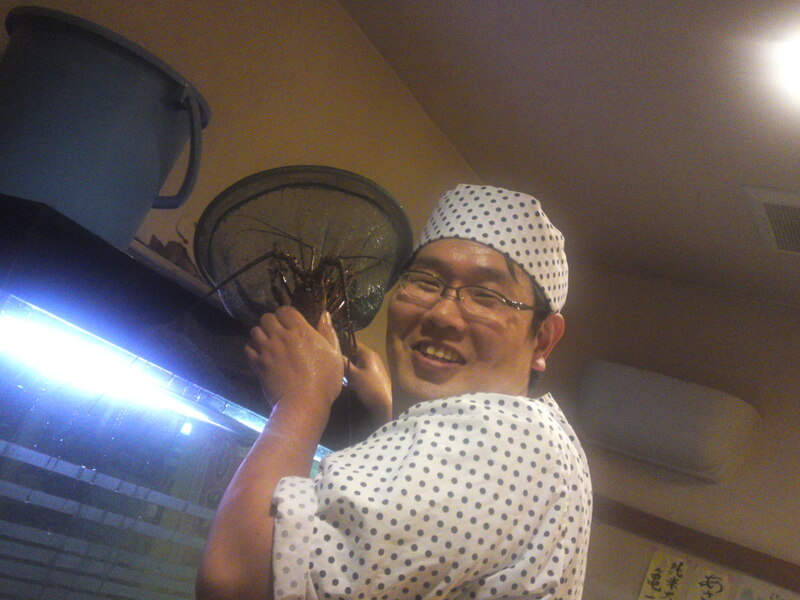 Kenta Birukawa/尾留川健太’s creations! 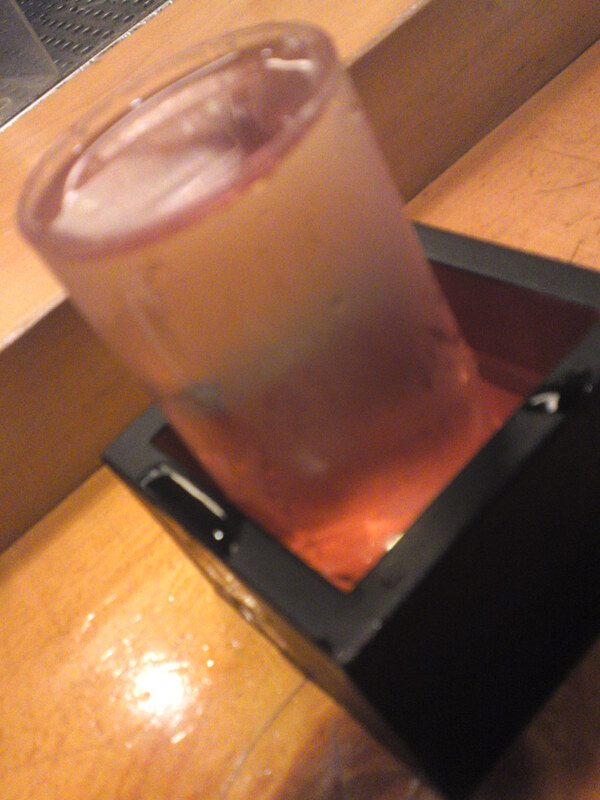 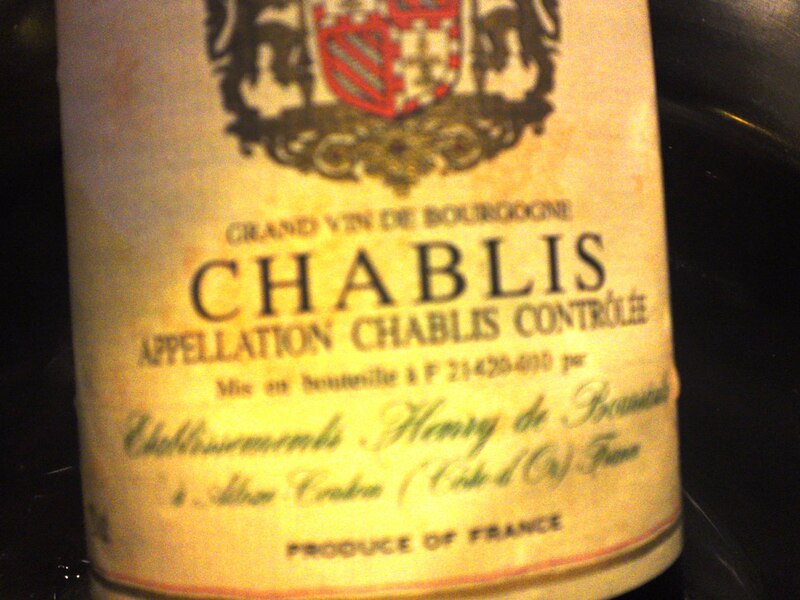 Now did we sample this time? 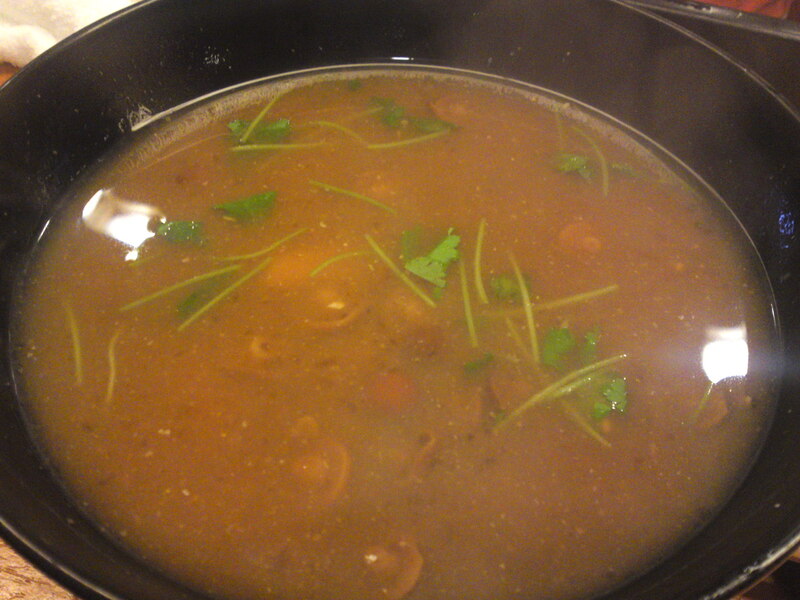 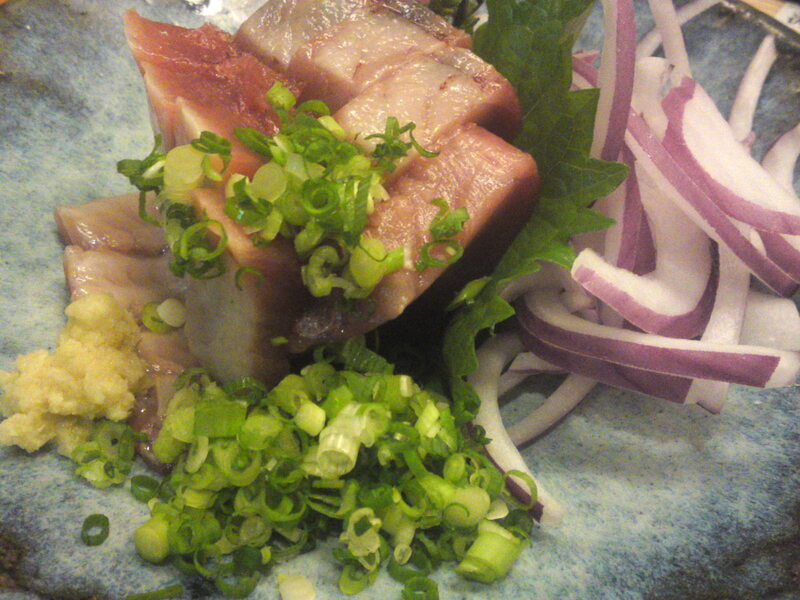 With our first drink (beer) were served a “o-tooshi/お通し/light food served with the first drink consisting of boiled shirasu/シラス/sardine whiting, a true specialty of Shizuoka Prefecture! 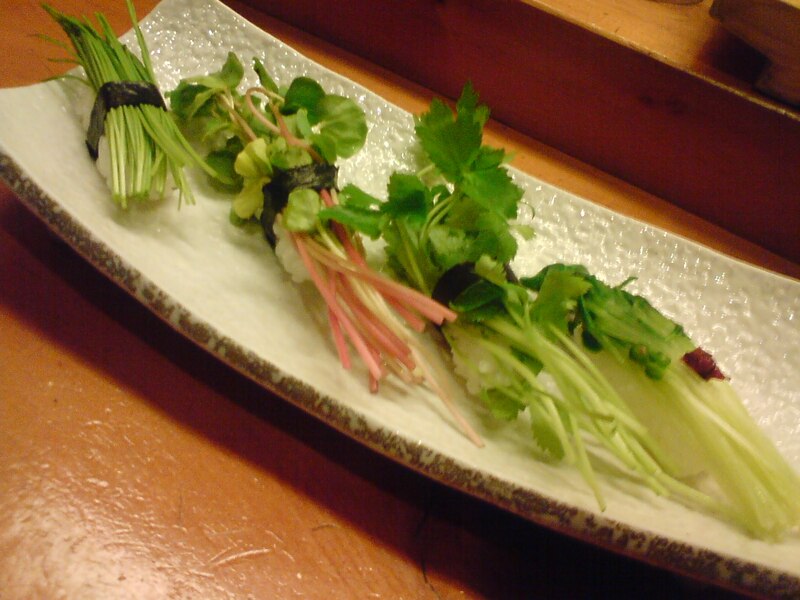 Suzuki/鱸/Seabass for the Suruga Bay lying against a shiso/紫蘇/perilla leaf finely cut daikon/大根・Japanese radish and myoga/茗荷/myoga ginger. 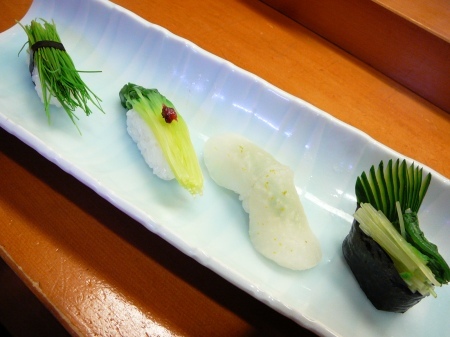 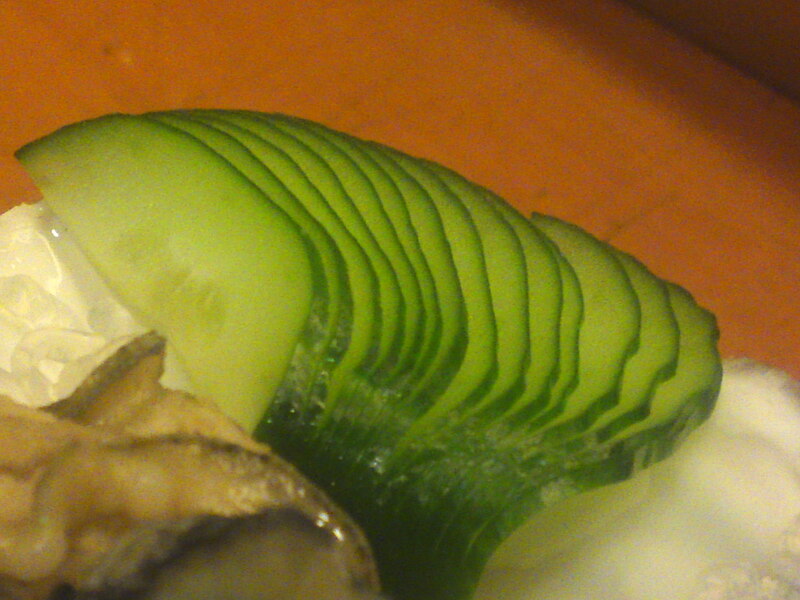 Note that the fresh wasabi is grated from roots cultivated in Utogi, Shizuoka City, the birthplace of wasabi! 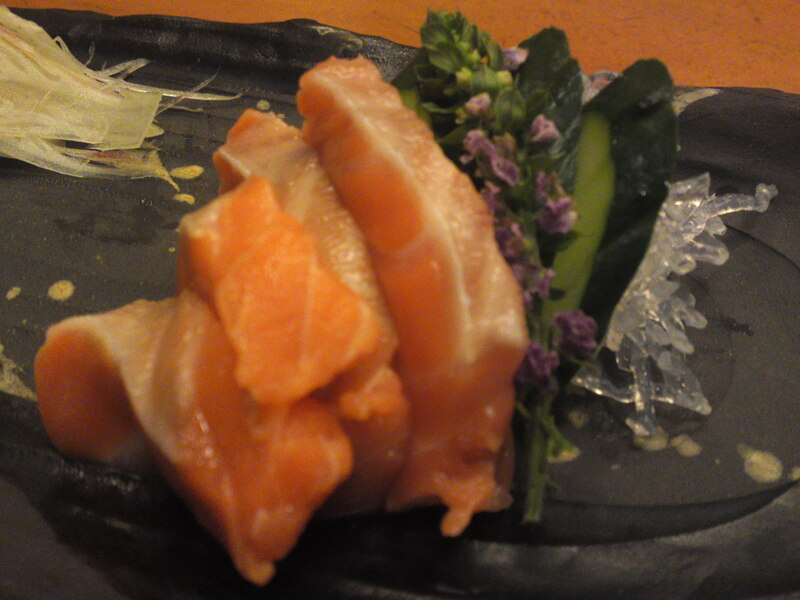 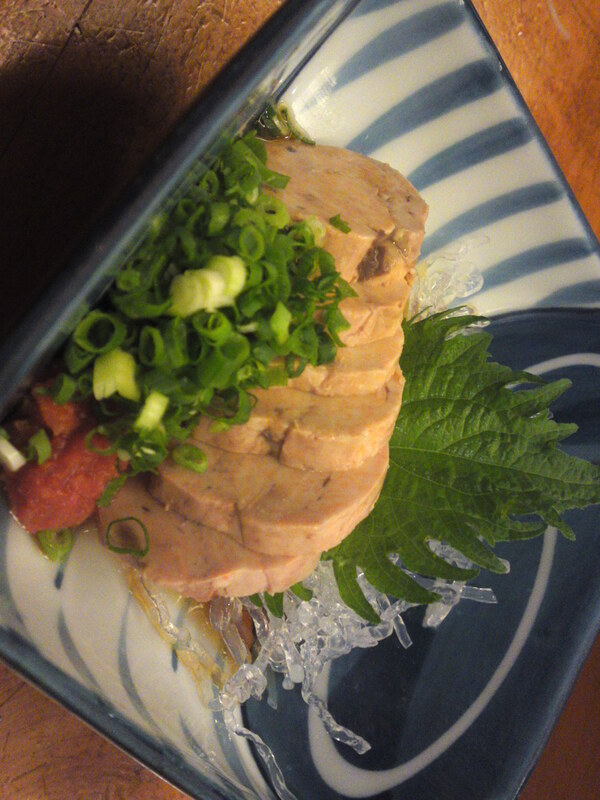 King salmon/キングサーモン with perilla flowers, shiso leaf and agar agar threads. 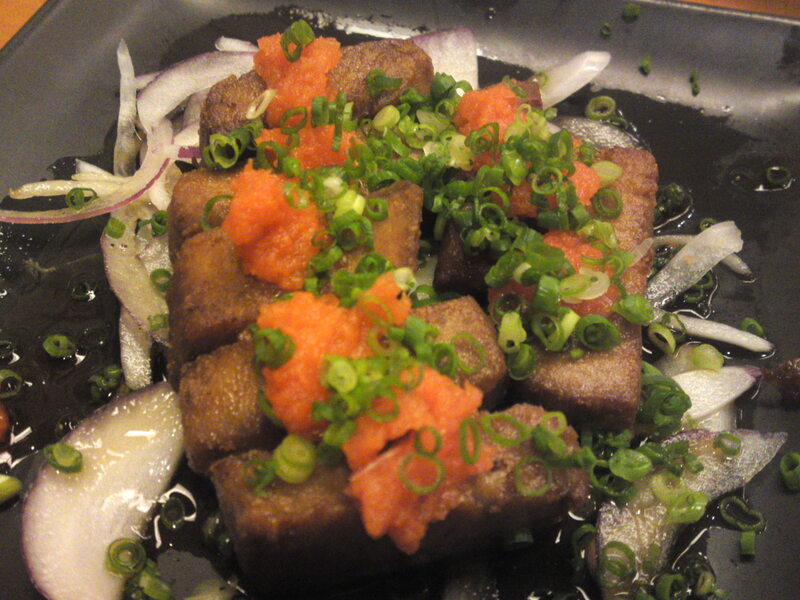 A Sushi Ko Restaurant specialty: pon kara maguro/ポン辛鮪/tuna dices deep-fried and served with chopped red onion, ponzu and momiji oroshi/紅葉下ろし/Grated daikon with chili powder. 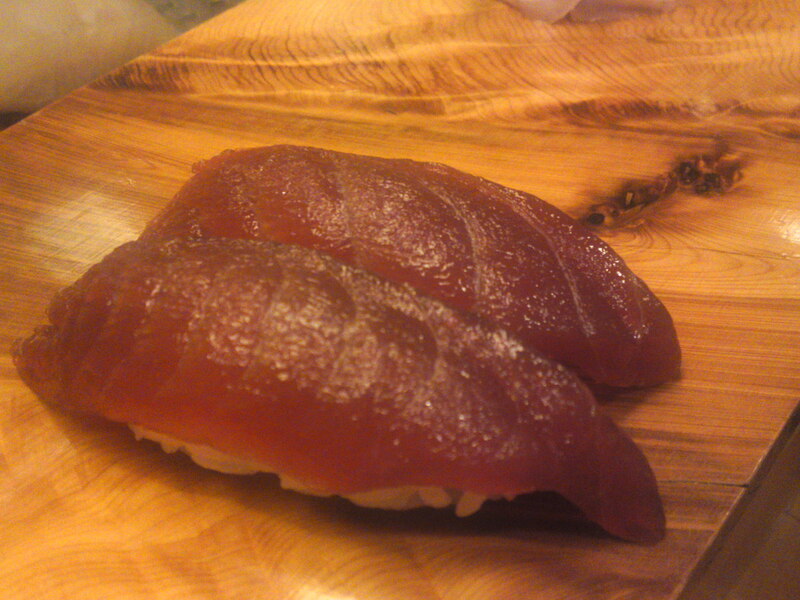 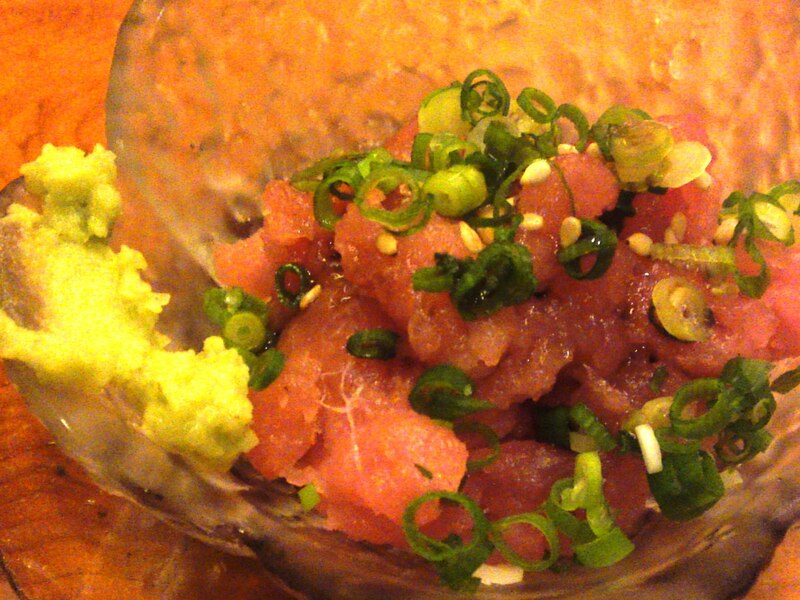 A must at any sushi restaurant worth its salt: Zuke/着け/Marinated tuna nigiri! 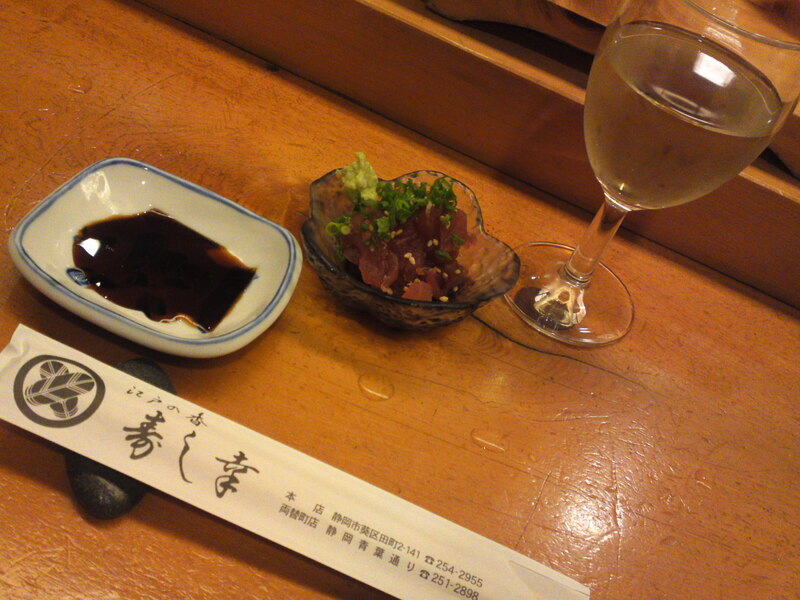 After the beer, whereas the Missus ordered wine, I asked for a great local sake, shosetsu/正雪/a honjyozo/本醸造 brewed by Kanzawagawa Brewery/神沢は和酒造 in Yui/由比/, Shimizu Ku/清水区, Shizuoka City/静岡市! 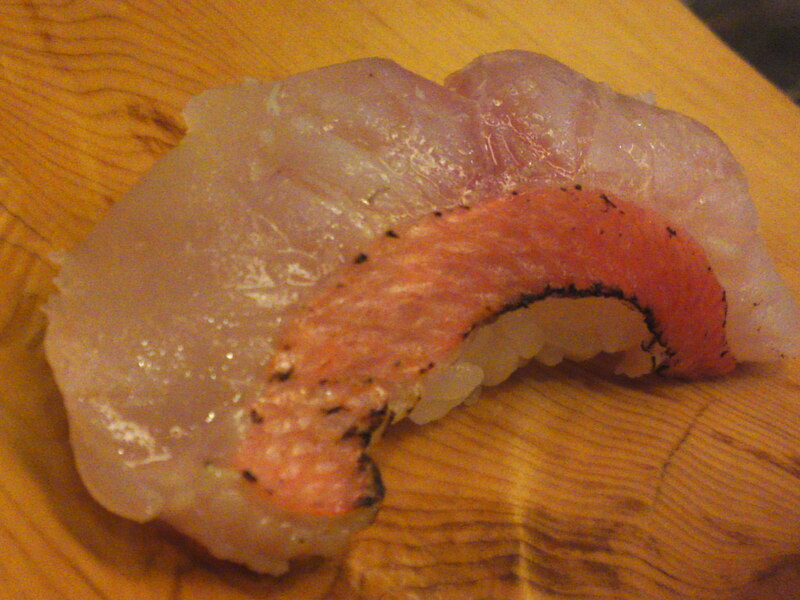 Kinmedai aburi/金目鯛炙り/seared Splendid Alfonsino caught off the Izu Peninsula/伊豆半島! 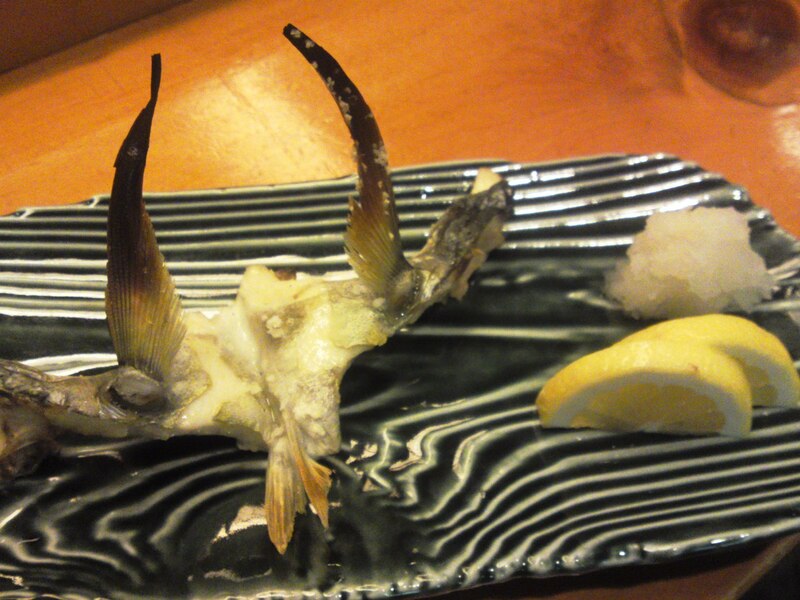 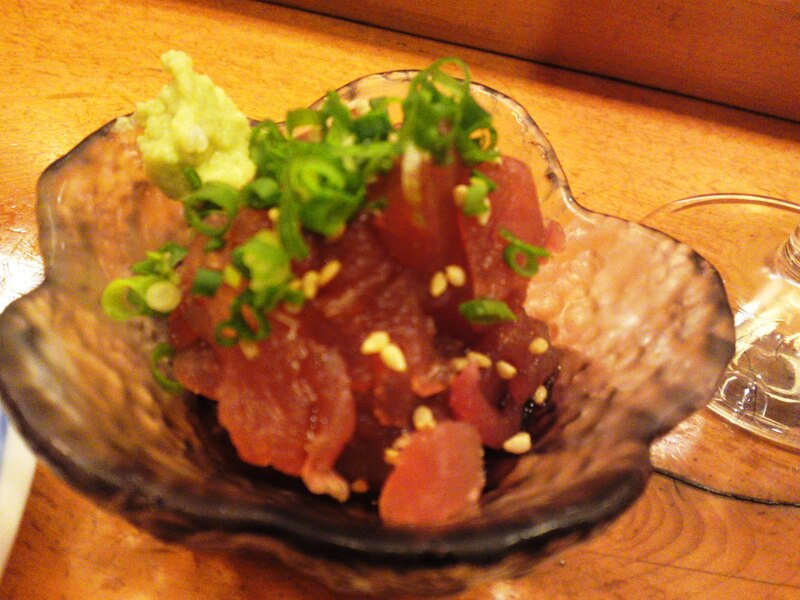 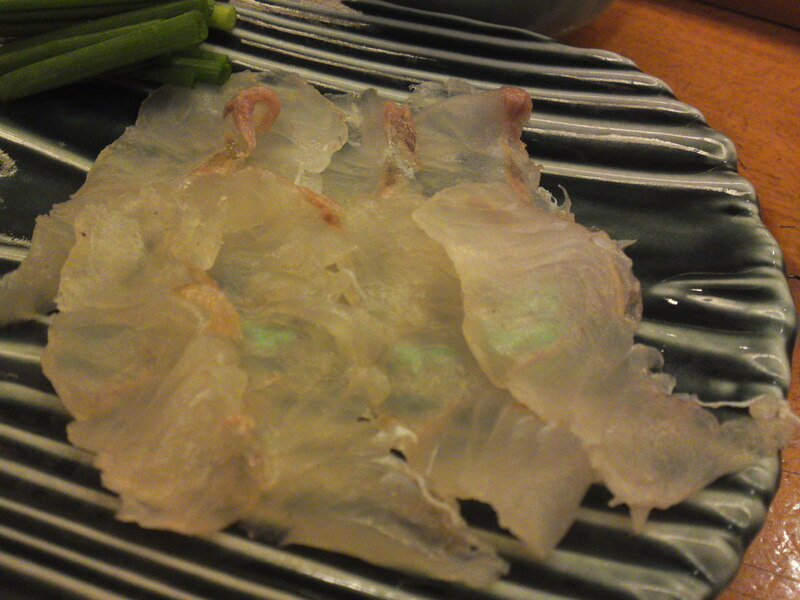 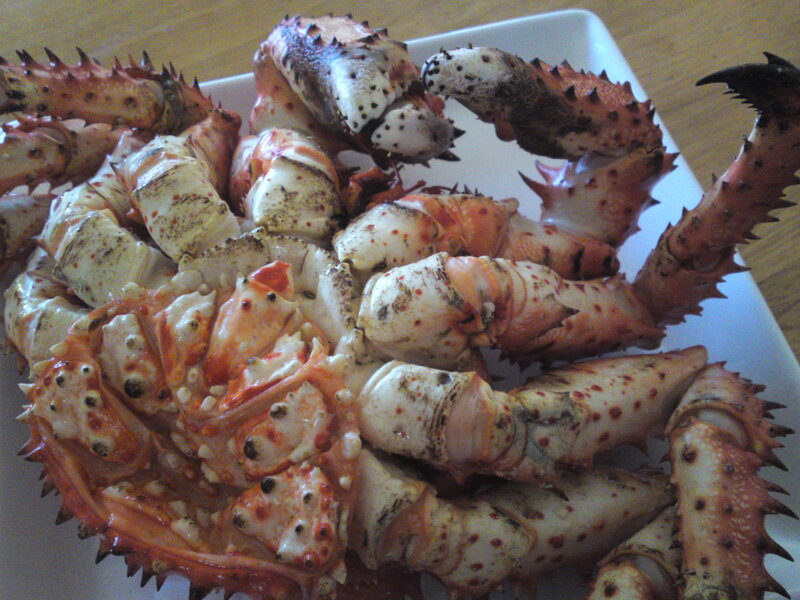 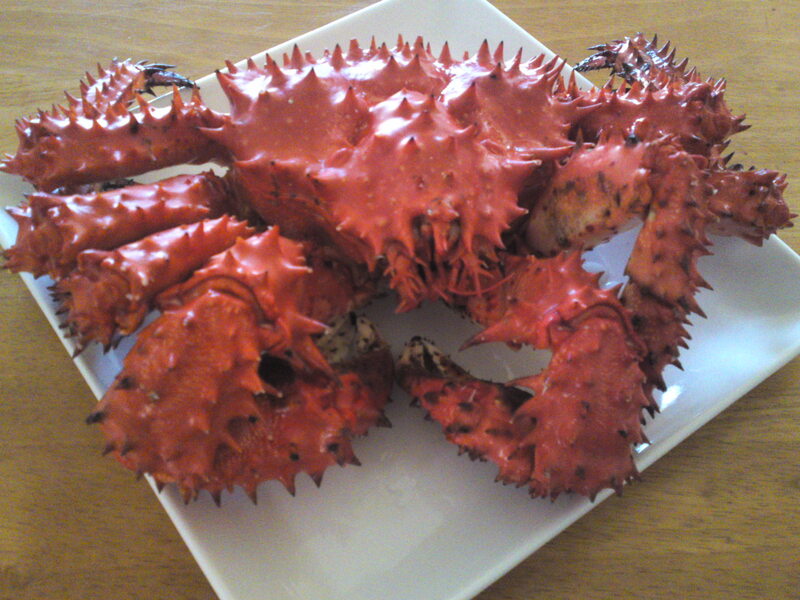 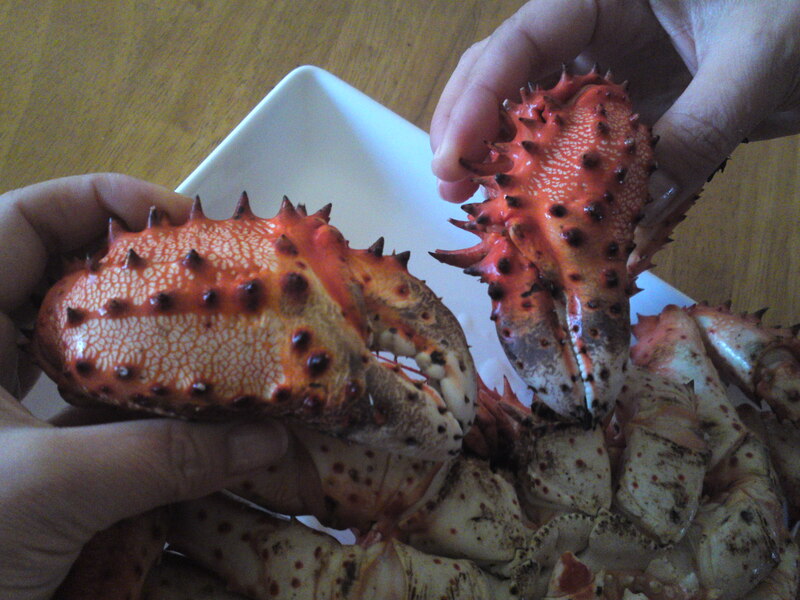 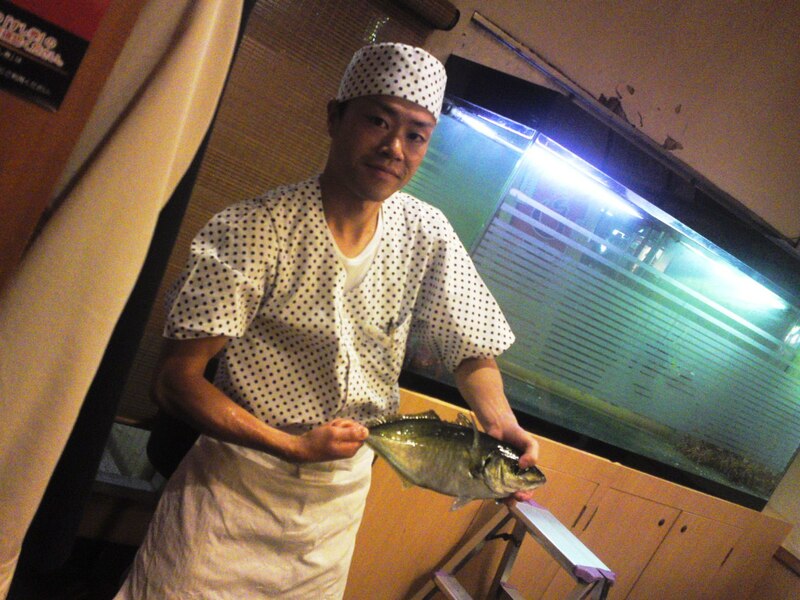 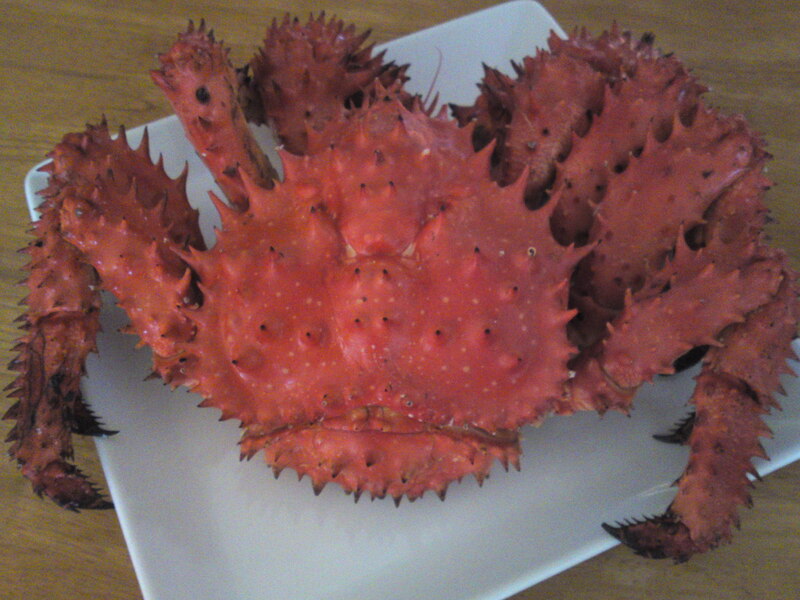 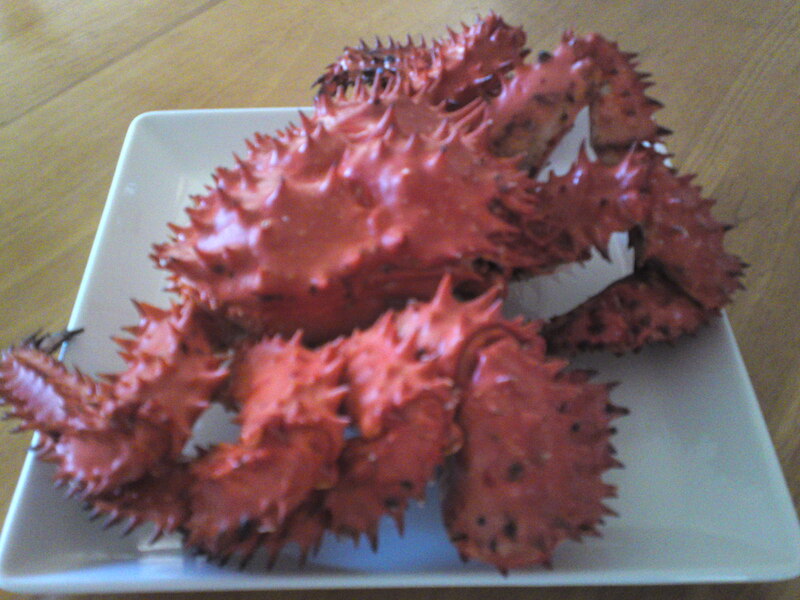 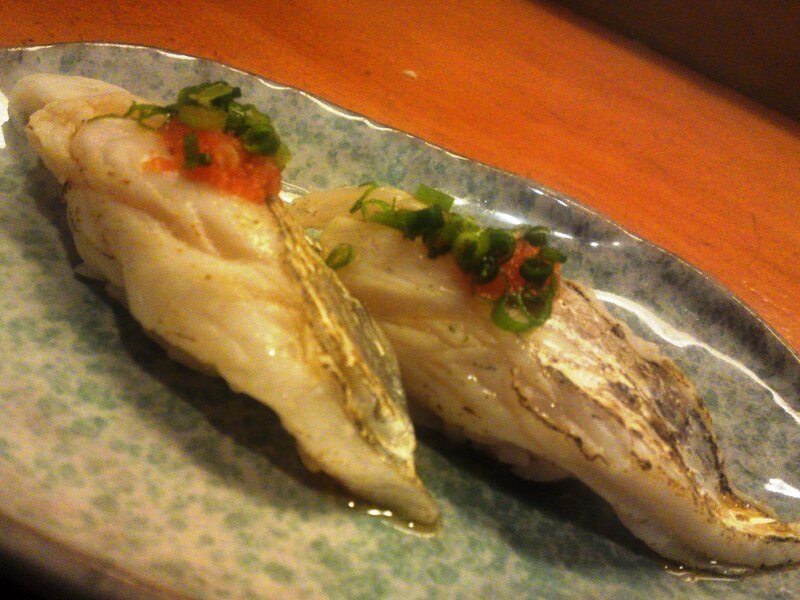 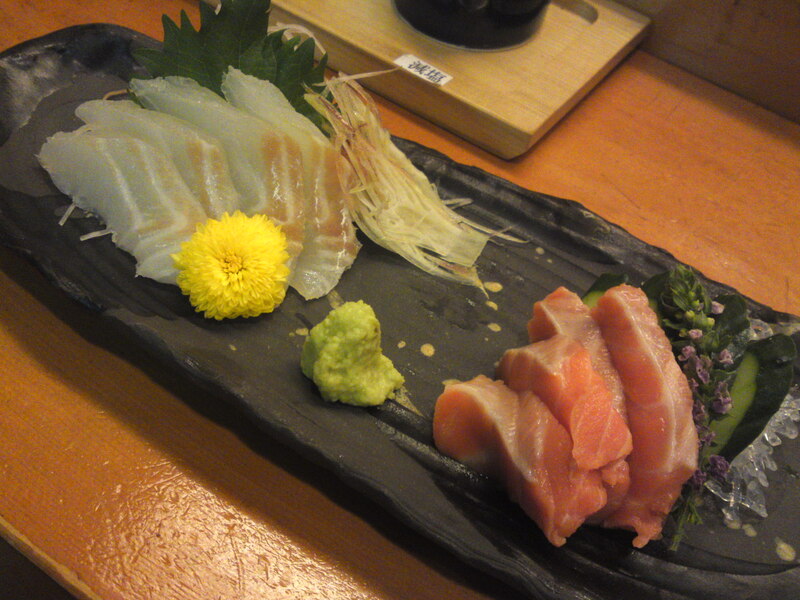 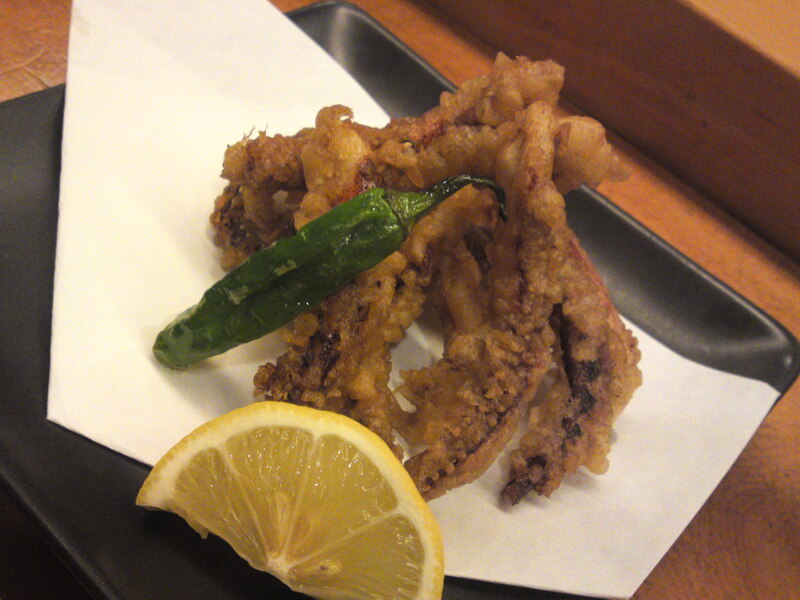 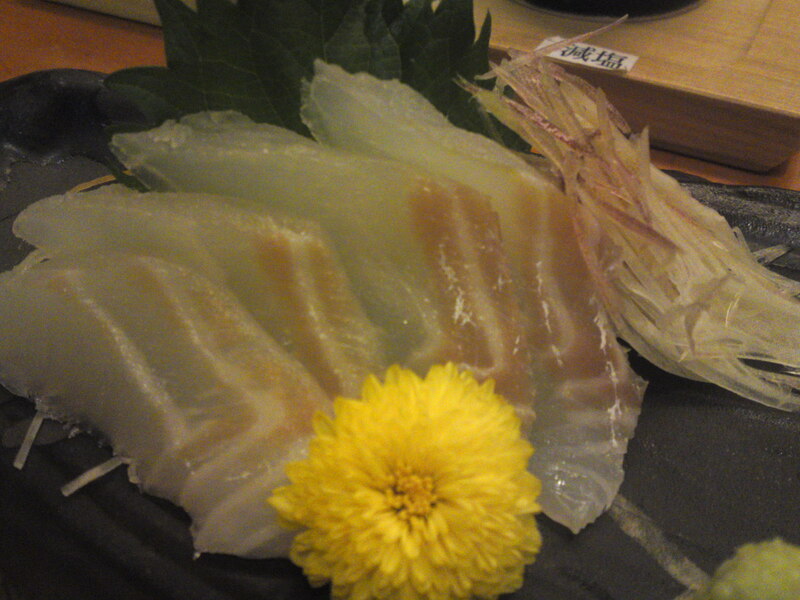 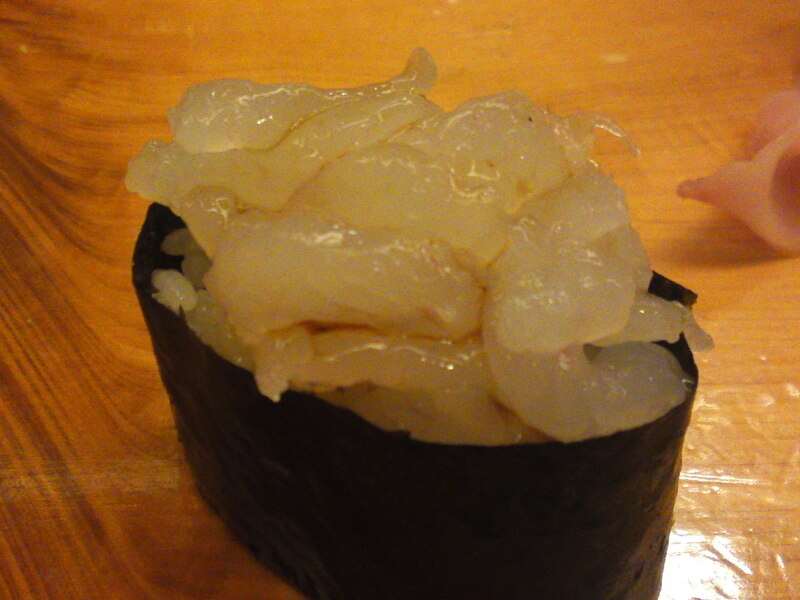 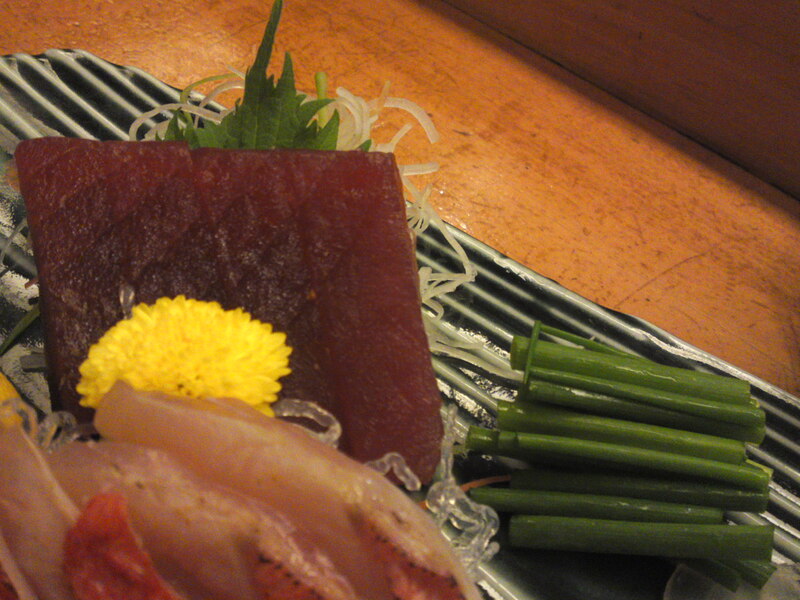 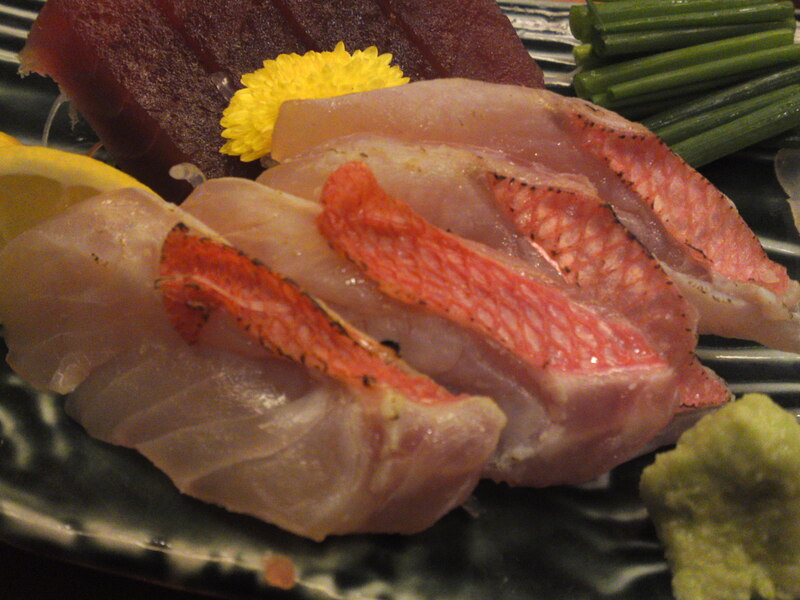 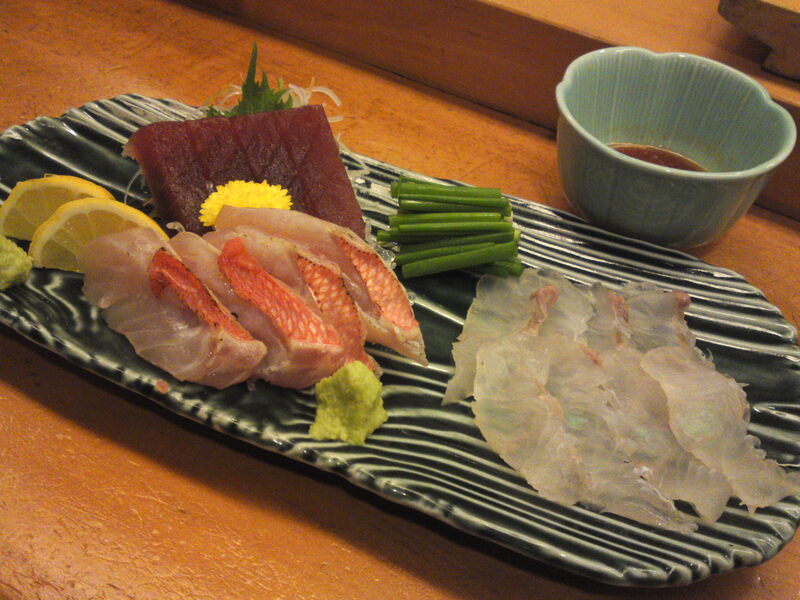 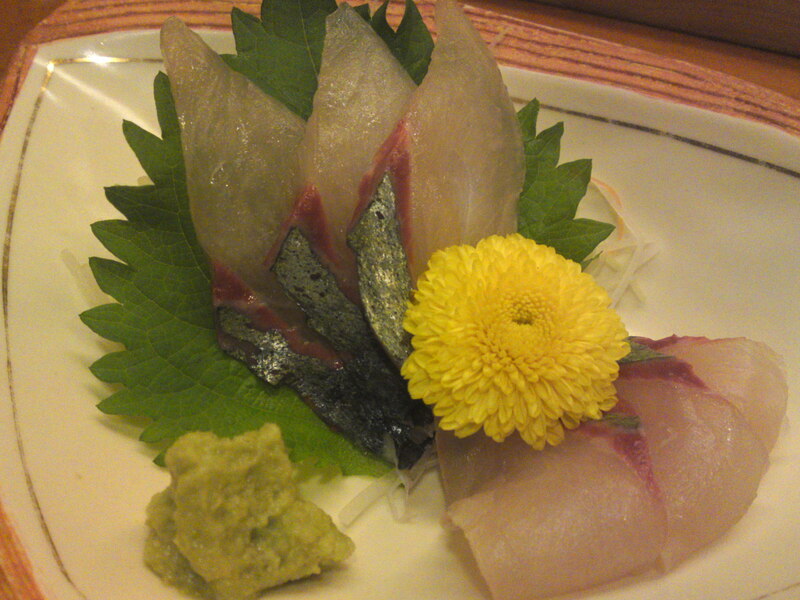 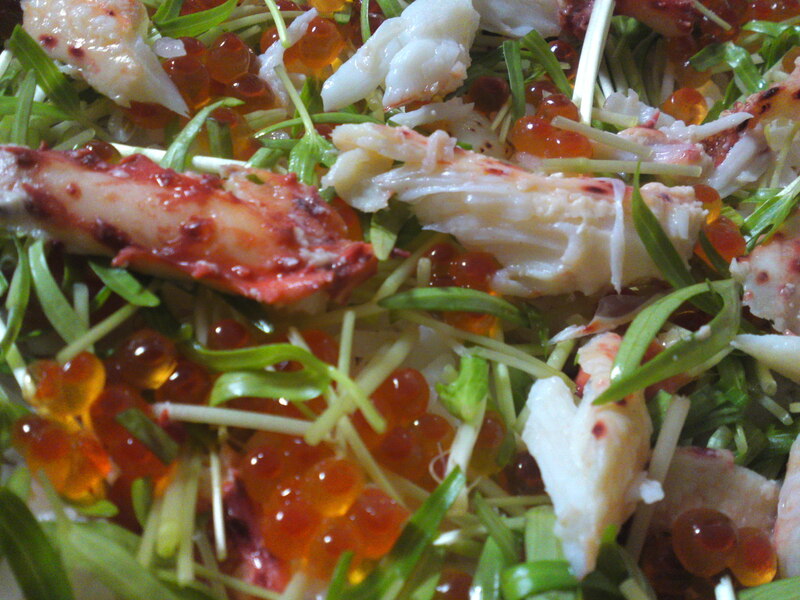 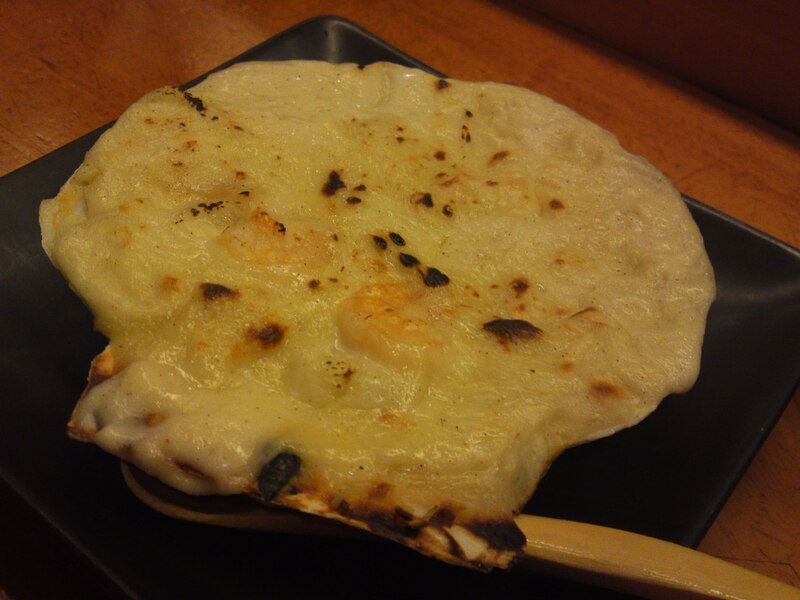 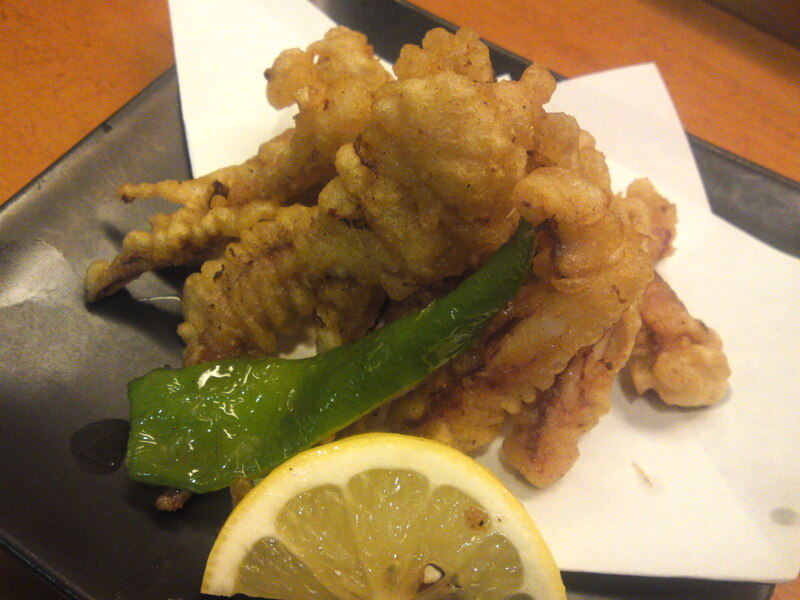 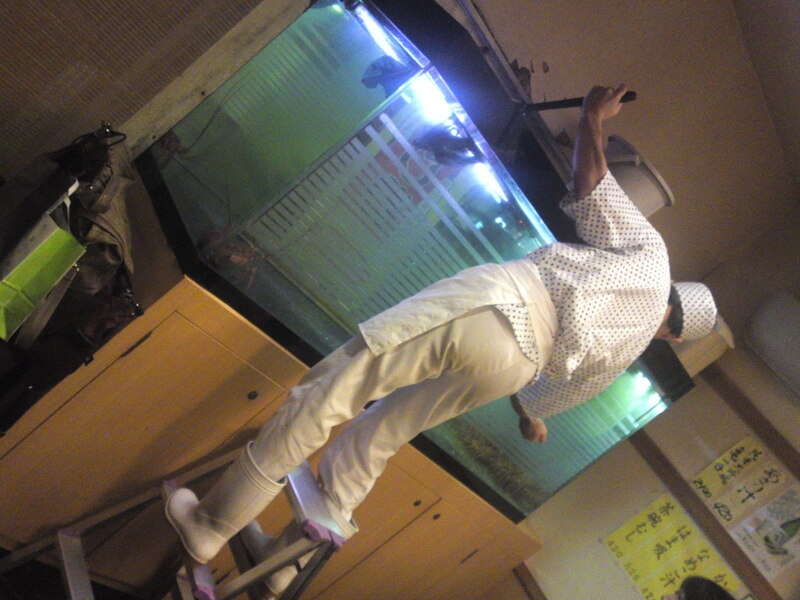 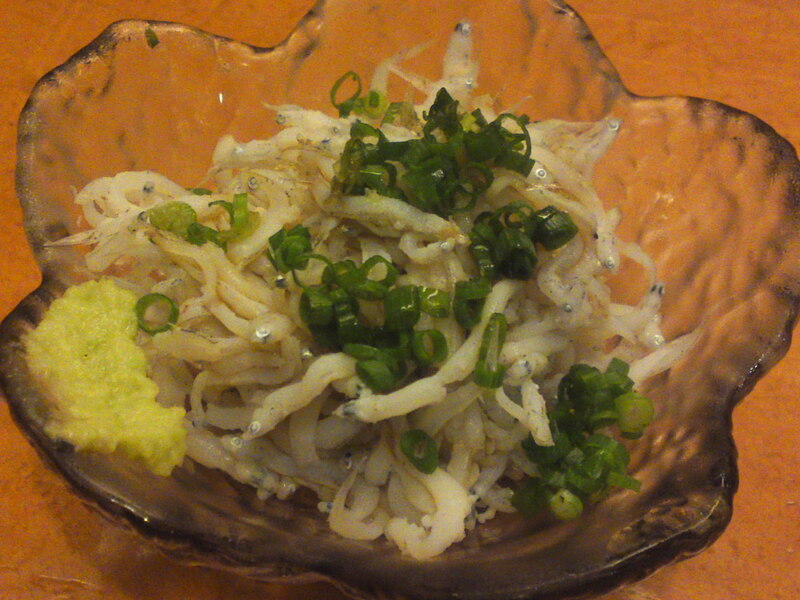 Another famous fish from Shizuoka Prefecture! 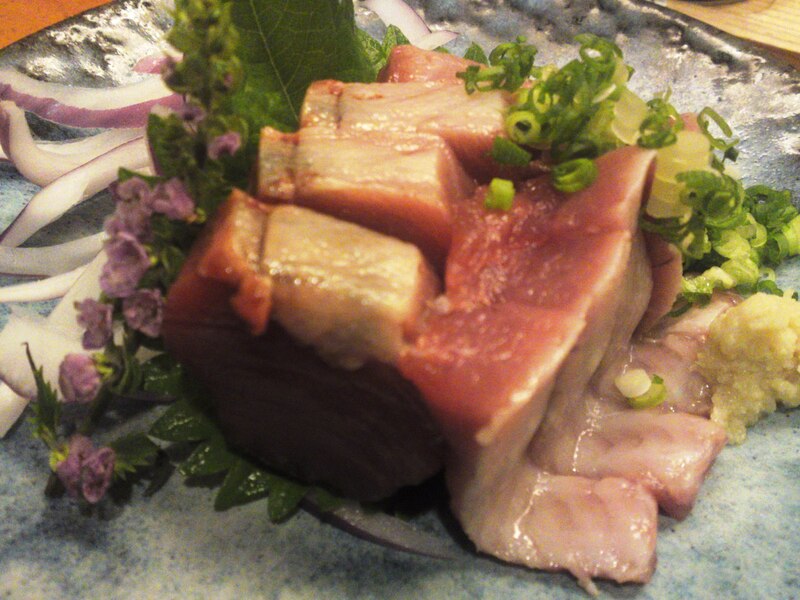 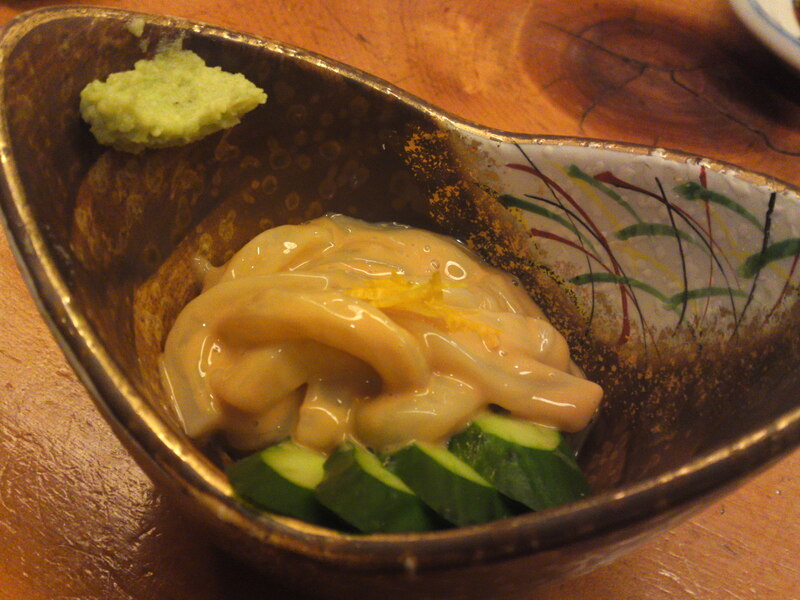 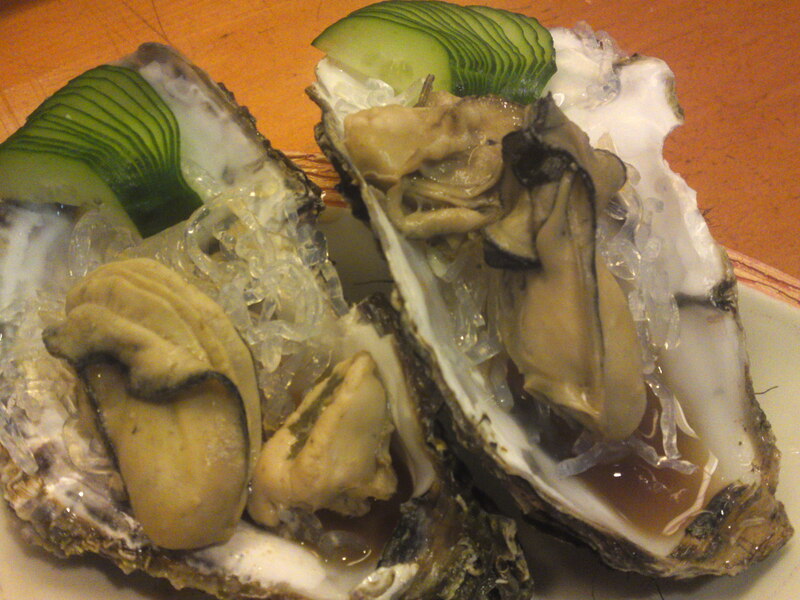 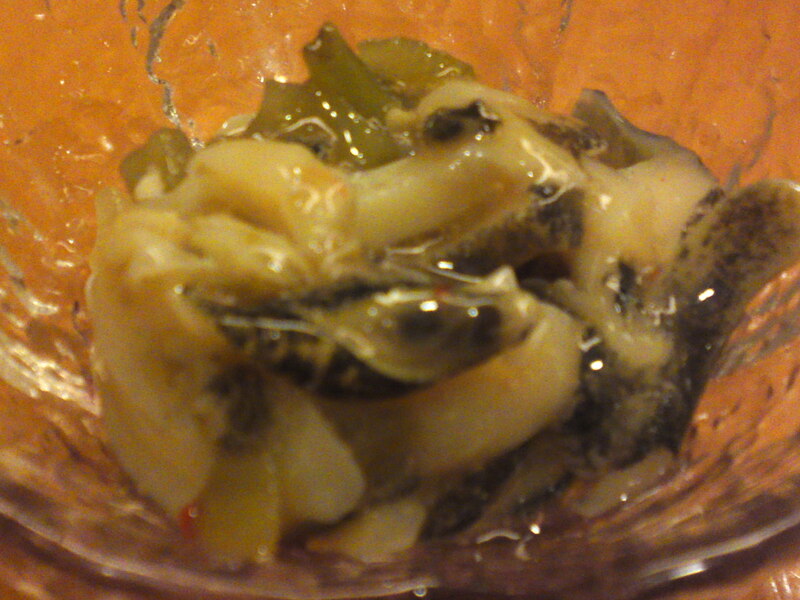 Finley sliced Tsubugai/螺貝/whelk (small variety) marinated in fresh wasabi! 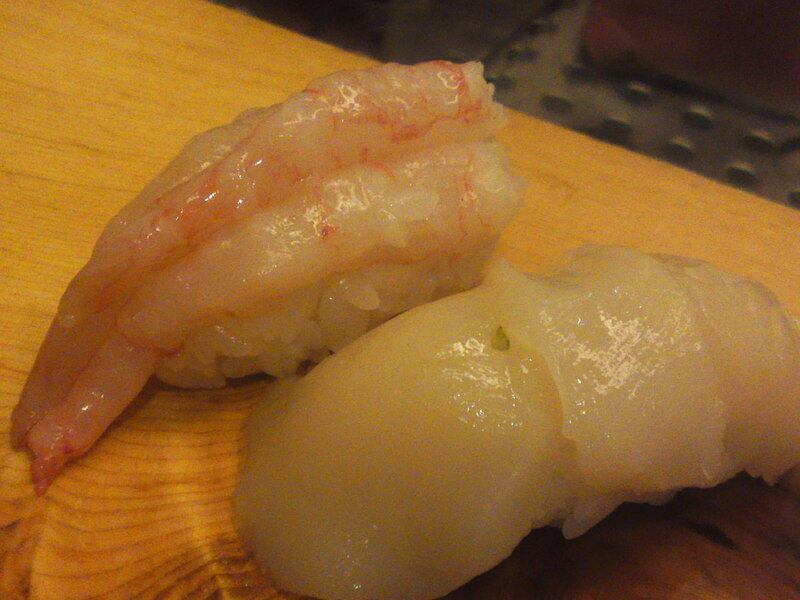 Amaebi/甘海老/Sweet shrimps and Hotategai/帆立貝/Scallop nigiri! 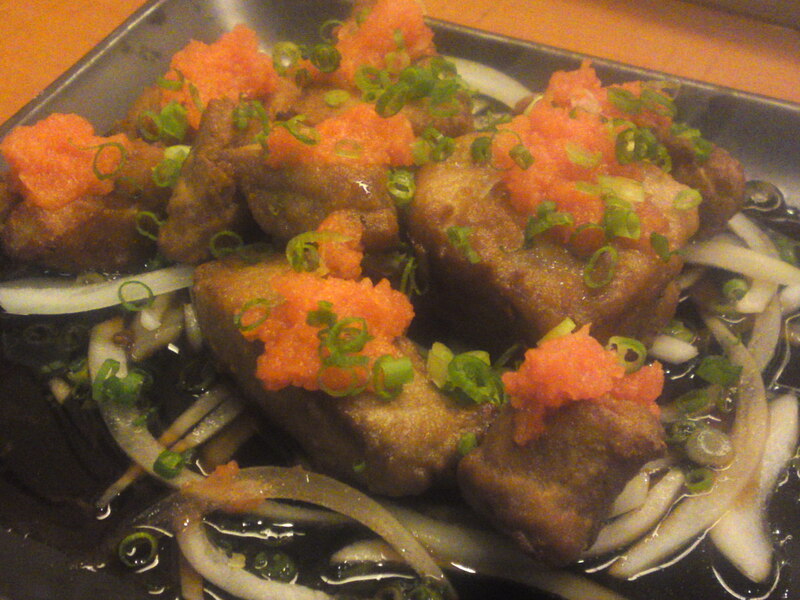 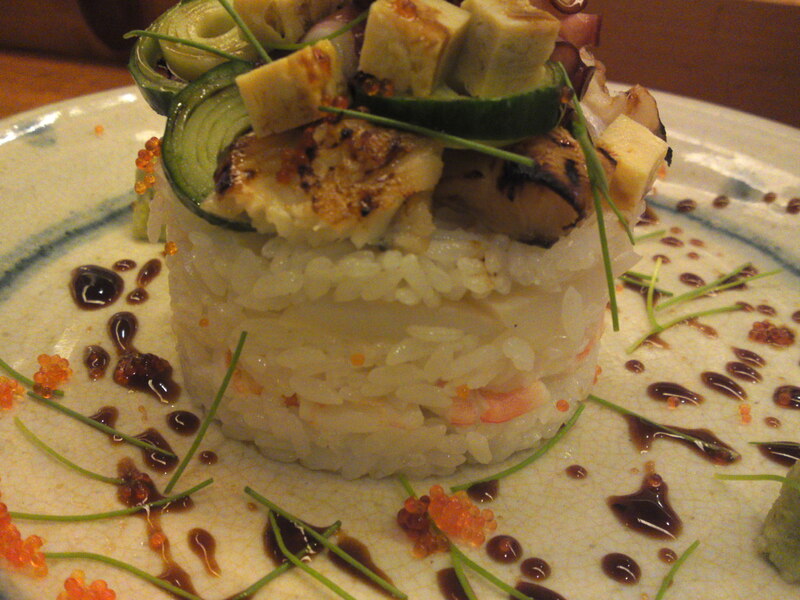 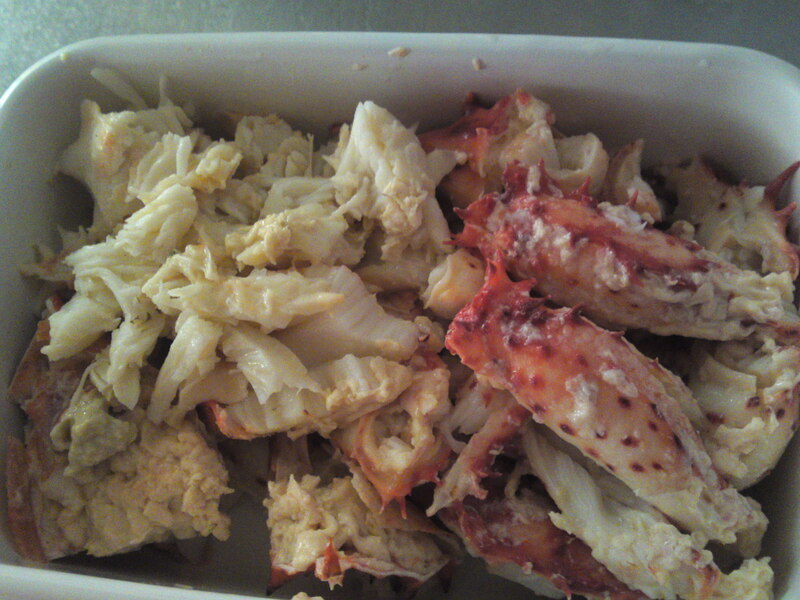 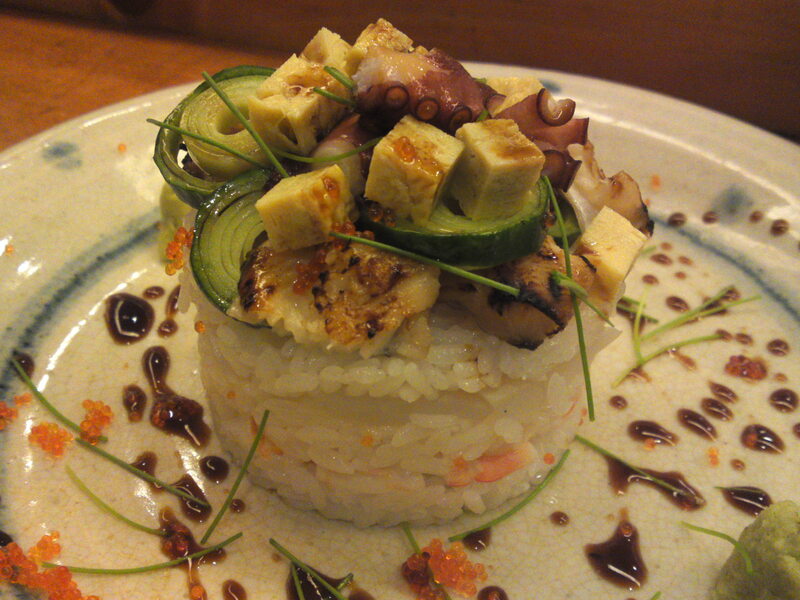 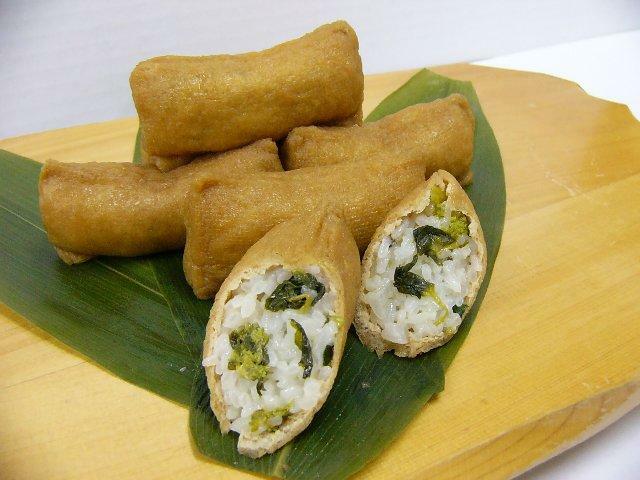 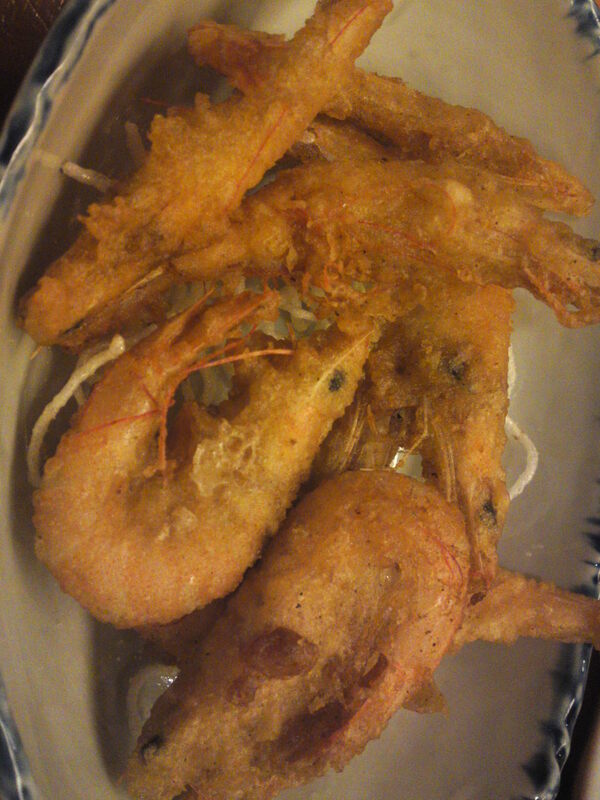 It is not all about fish, Sushi Ko also serves some beautifully cooked morsels! 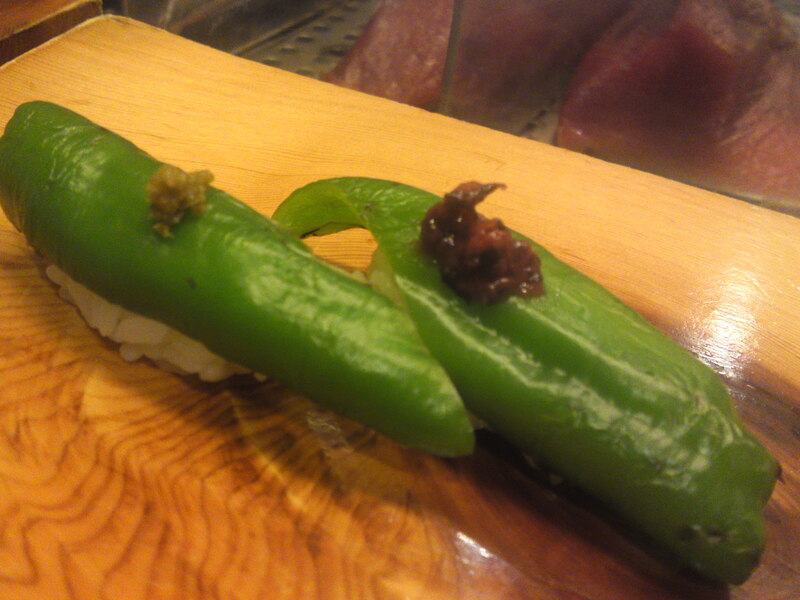 Sushi Ko can also devise sushi exclusively for vegetarians and vegans such as the above manganji tougarashi/万願寺唐辛子/sweet long green chili pepper seasoned with yuzu koshio/柚子小塩/lime pickled in salt or ume/梅/Pickled Japanese plum as nigiri! 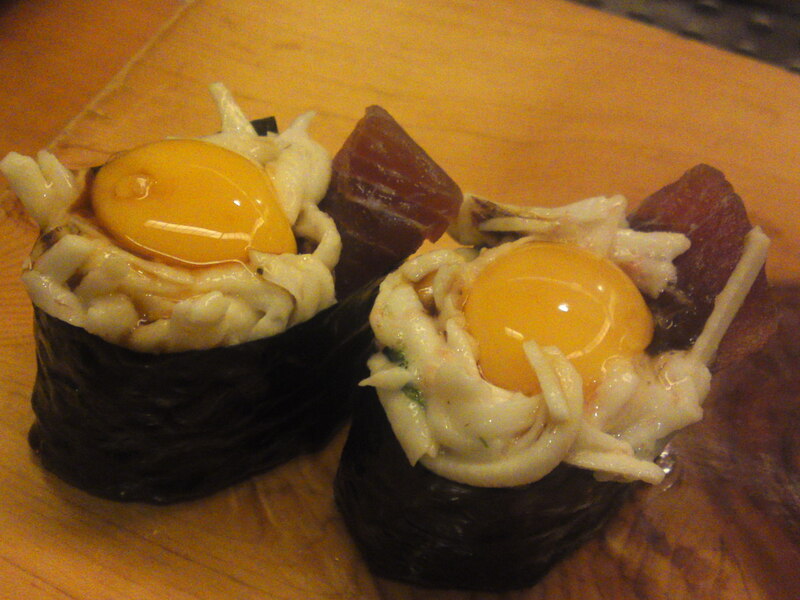 Gunkan/軍艦/”Mothership nigiri containing yama imo/山芋/Long Japanese yam with uzura tamago/鶉卵/quail egg and a little Tuna! 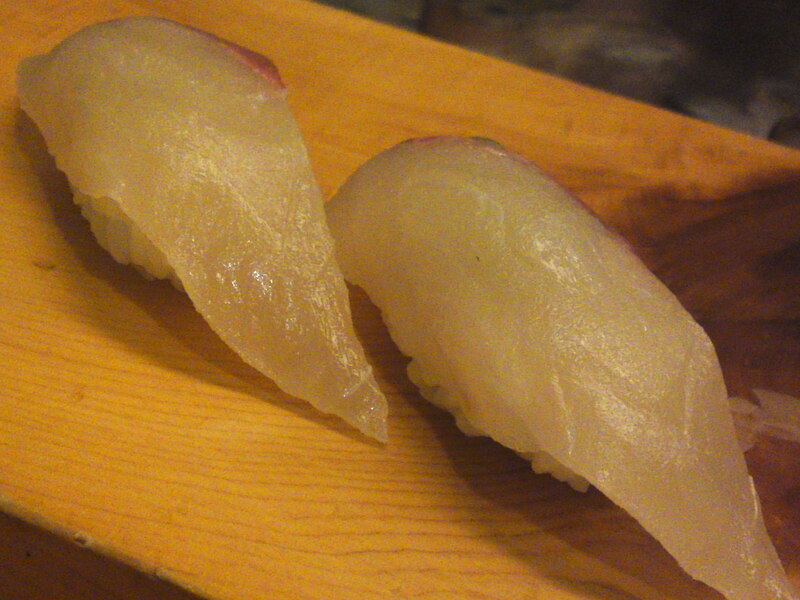 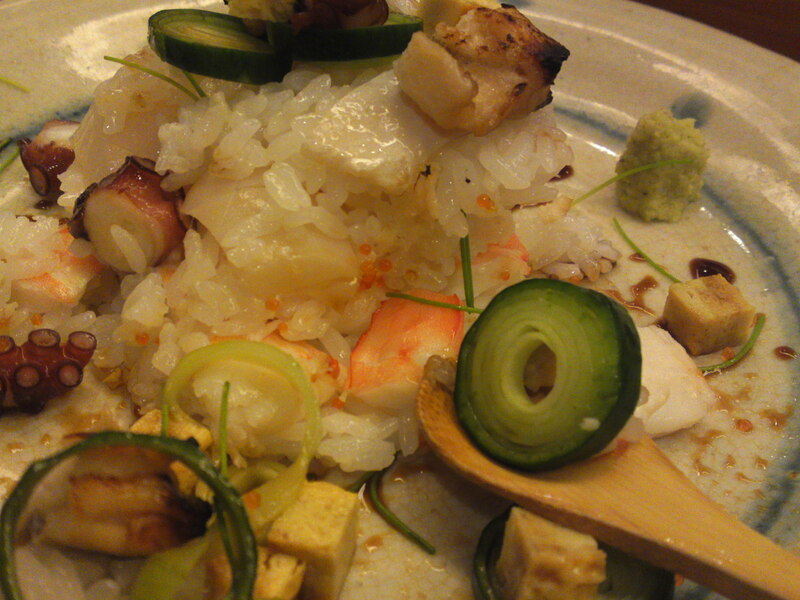 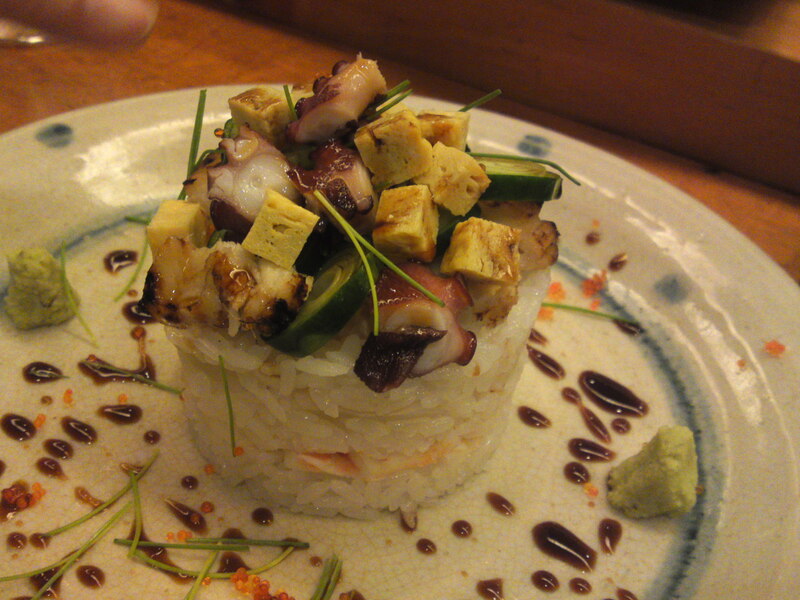 A favorite of mine: Tachiuo aburi/太刀魚炙り/seared scabbard fish from the Suruga Bay as a nigiri! 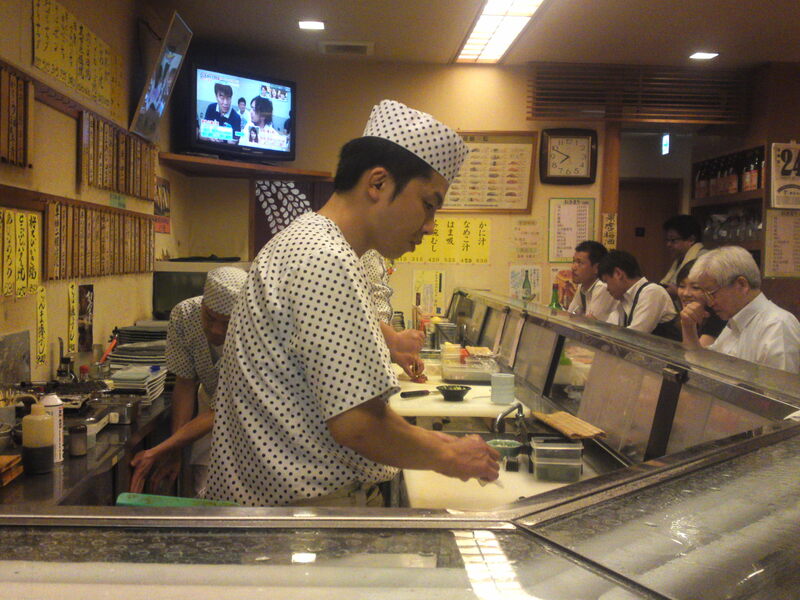 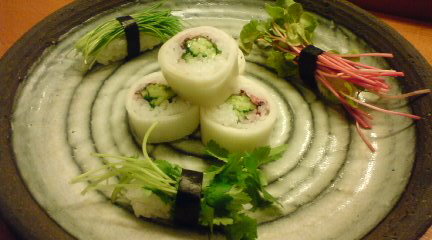 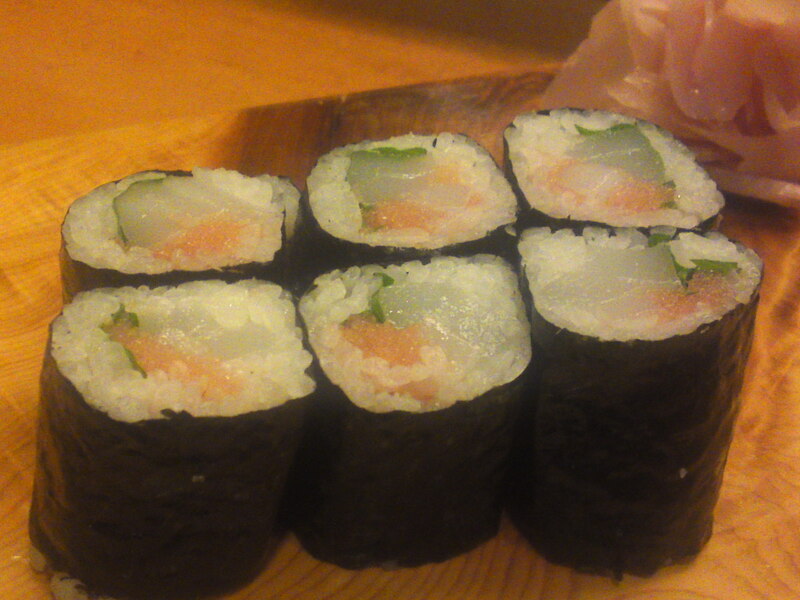 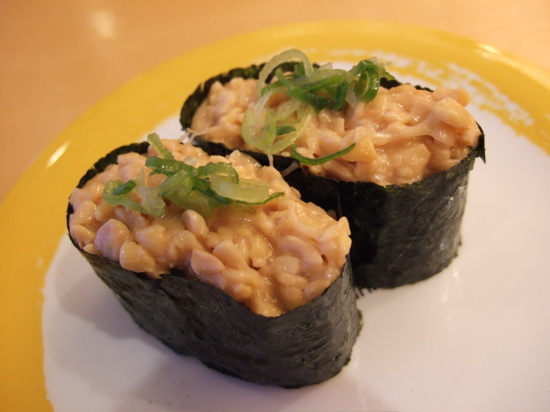 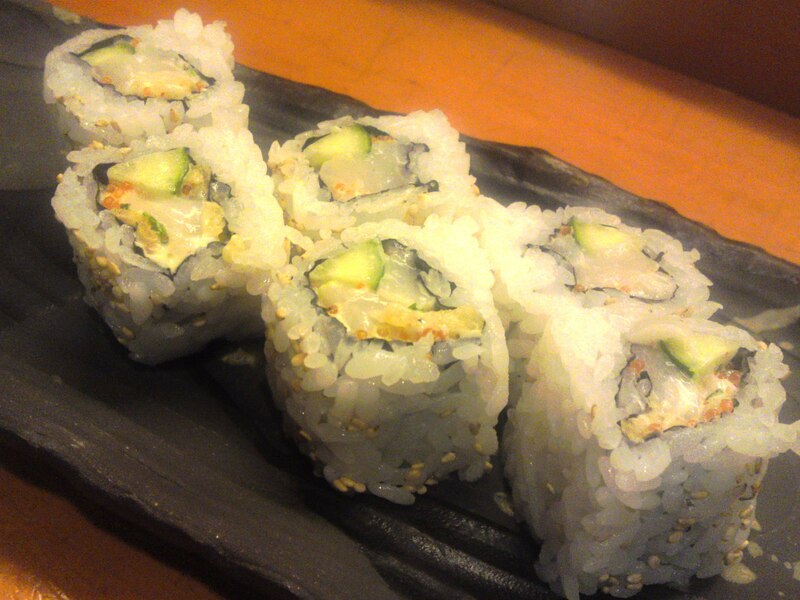 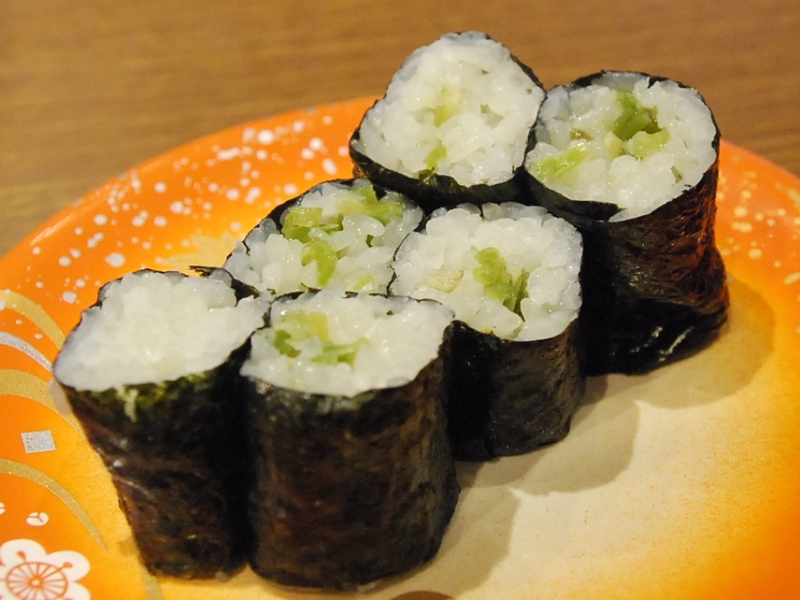 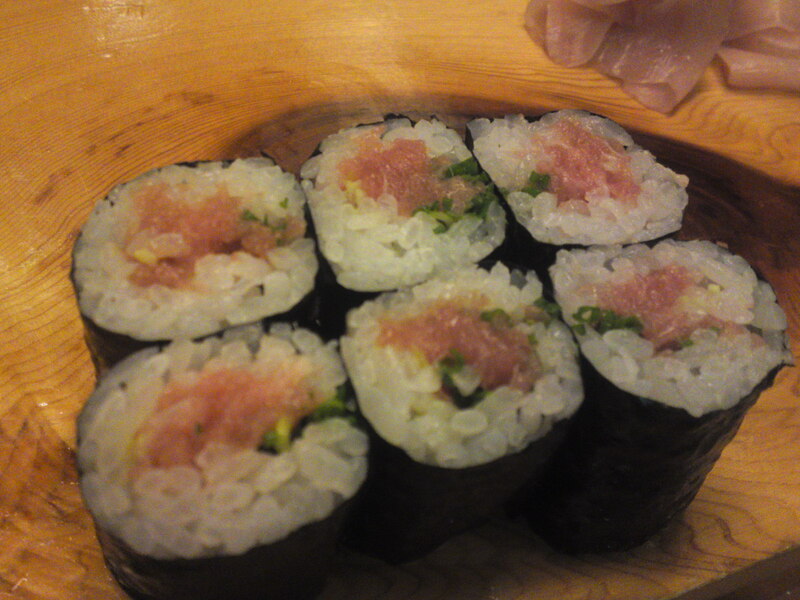 A favorite sushi roll all over Japan: Negi Toro maki/葱トロ巻/finely chopped tuna and leek roll! 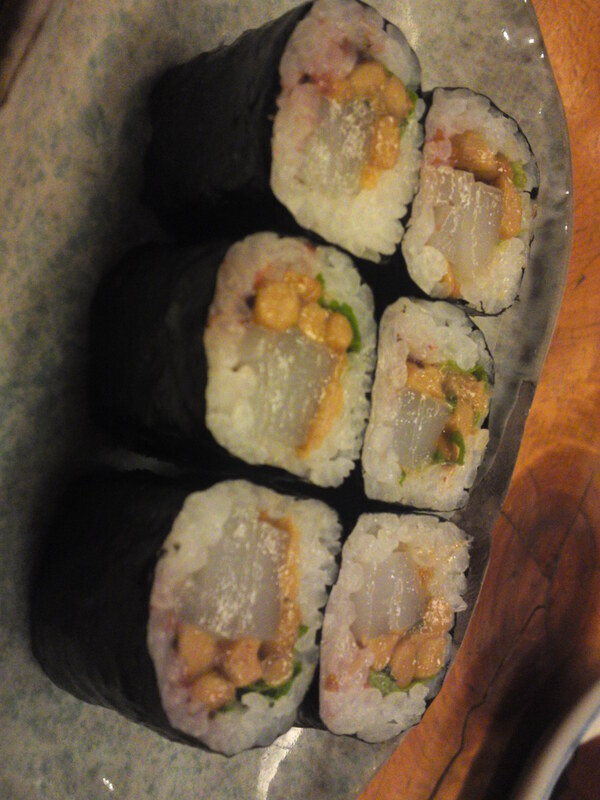 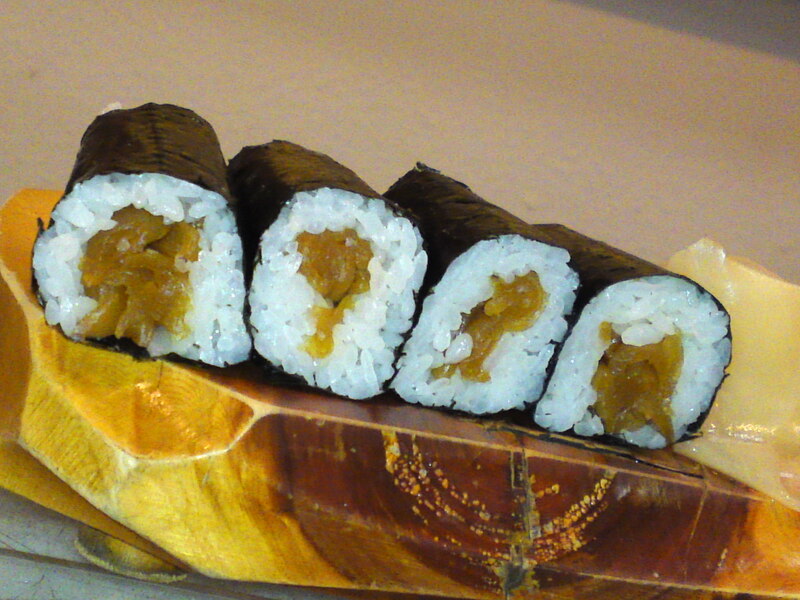 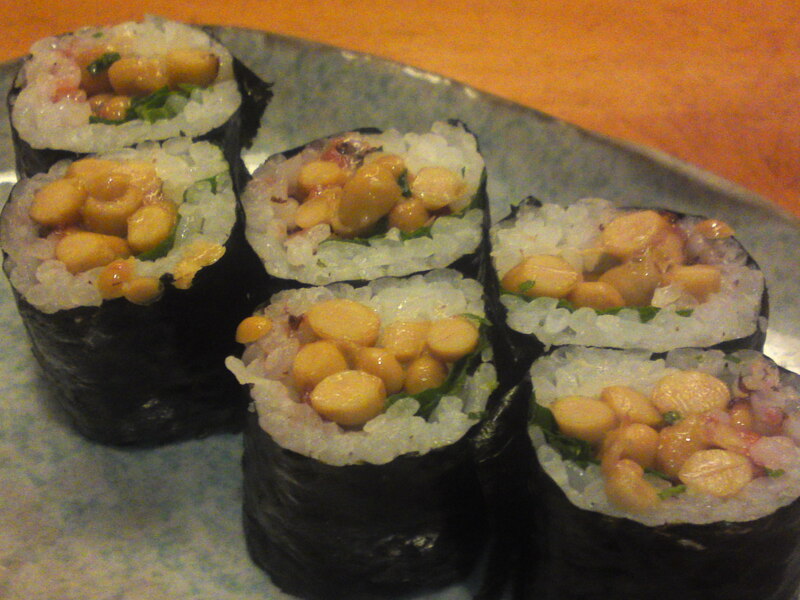 Another vegan morsel: Shiso Ume Natto maki/紫蘇梅納豆巻/perilla leaf, pickled Japanese plum and fermented beans roll! 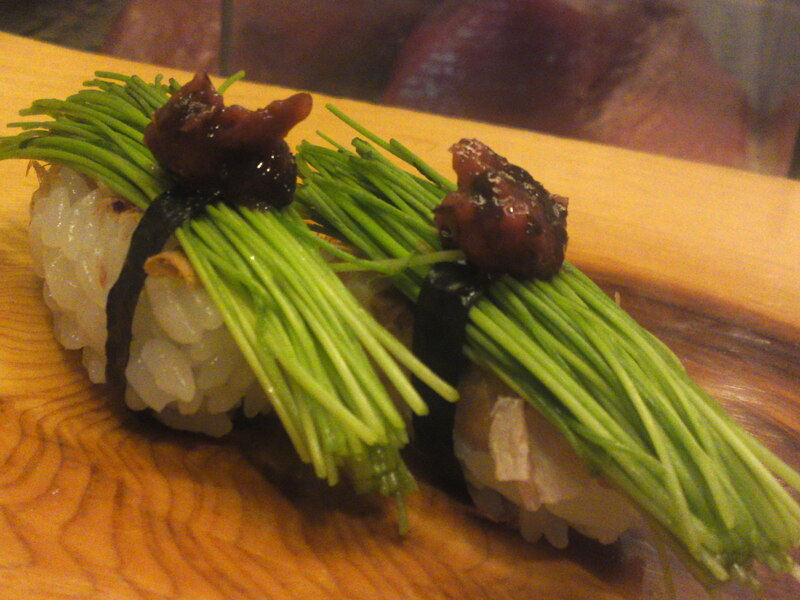 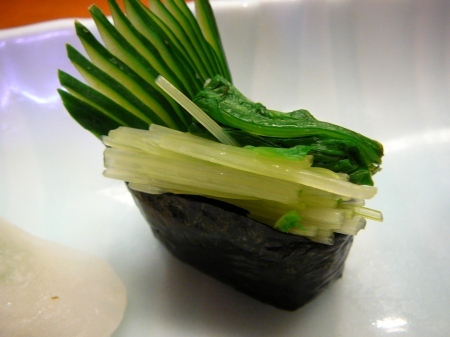 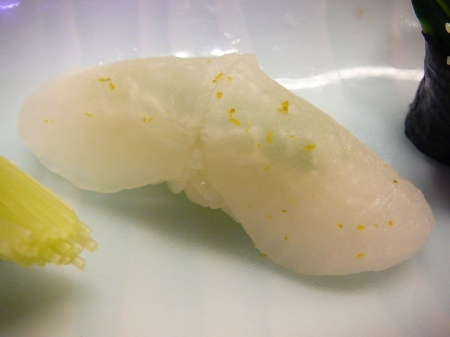 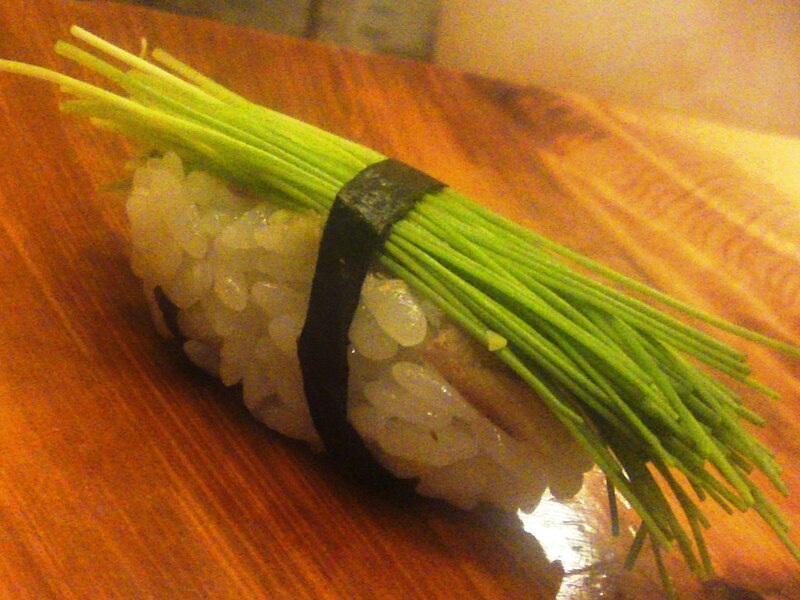 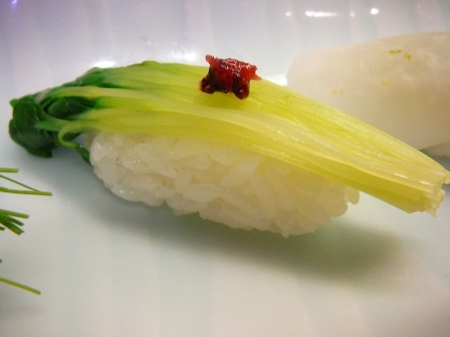 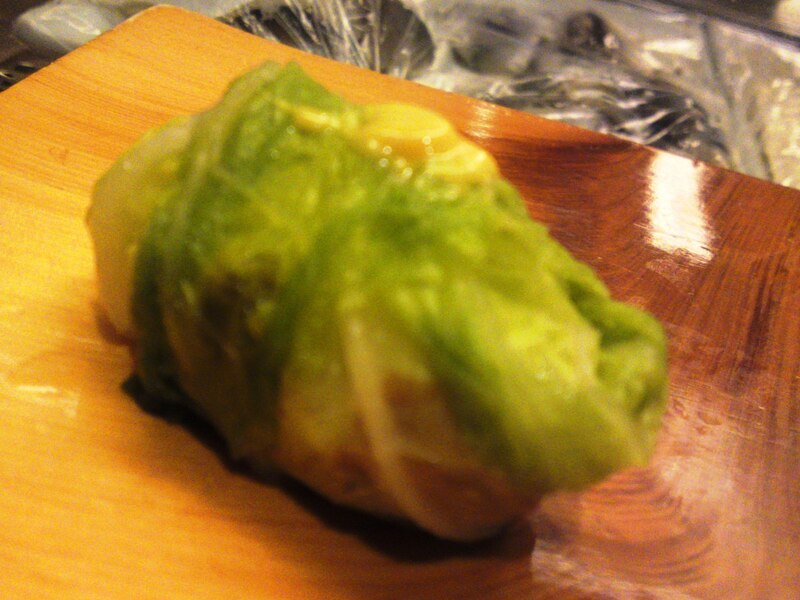 Another vegan morsel: Menegi Nigiri/芽葱握り/leek sprouts nigiri topped with ume! 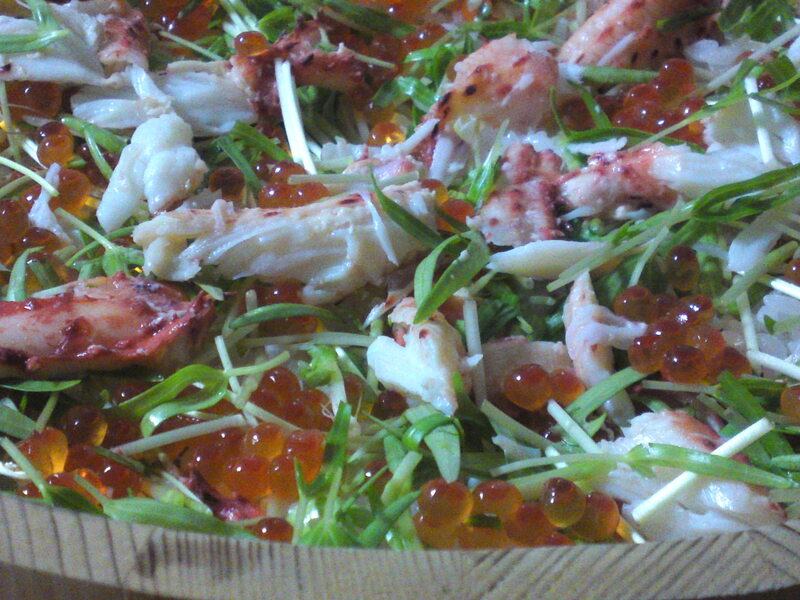 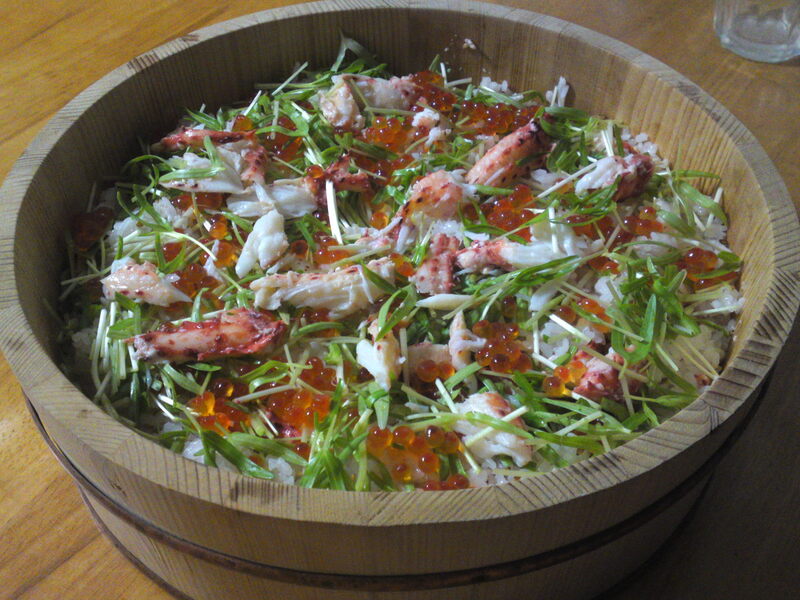 We finished this grand dinner with an extravagant “dessert consisting of two different kinds of ko-donburi/小丼 (also called ko bachi/小鉢)/sushi served in small bowls: ikura/イクラ(did you know that this particular word is Russian, not Japanese?)? 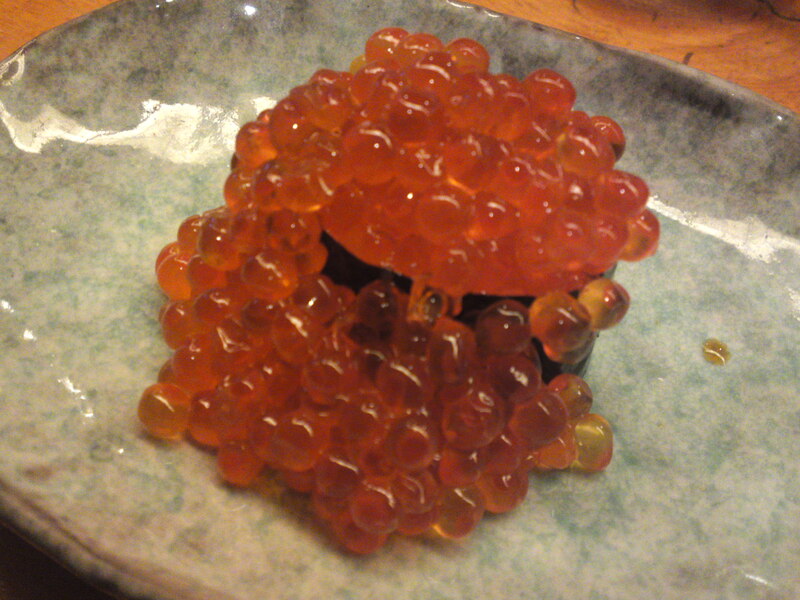 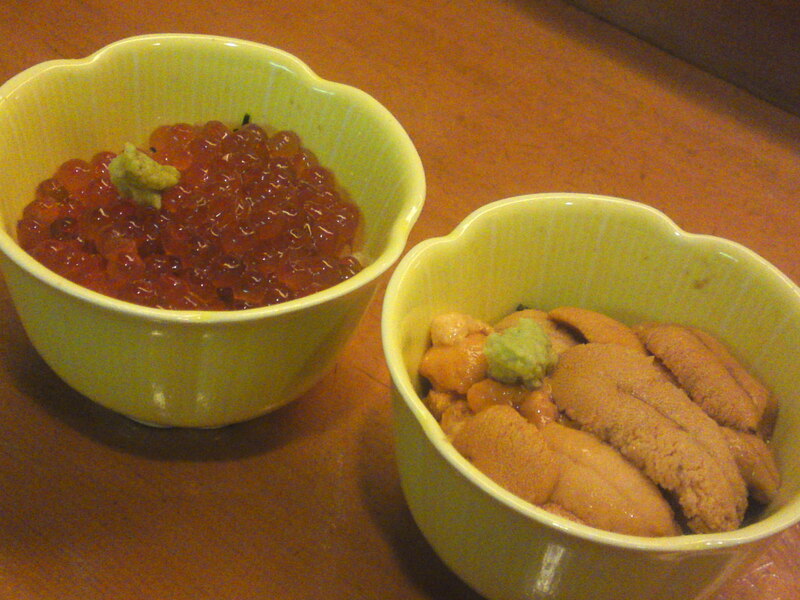 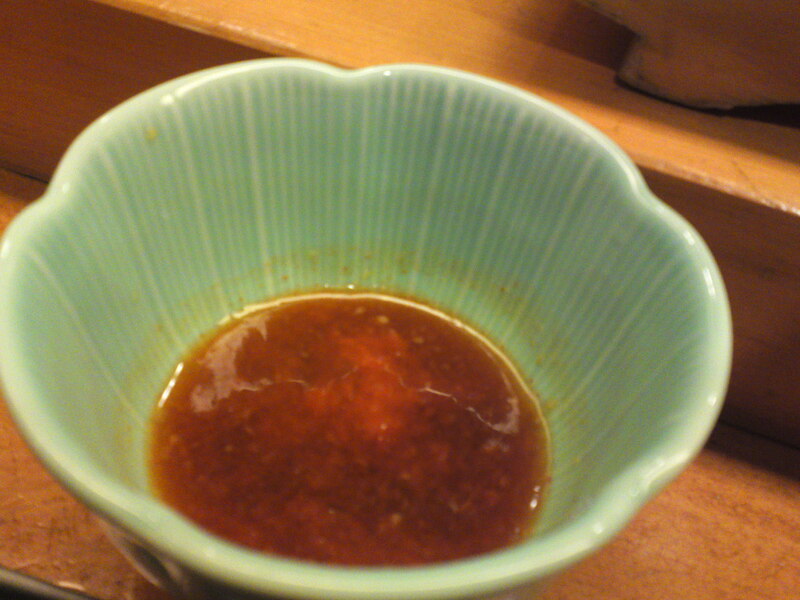 Salmon roe and Murasaki uni/紫海栗/violet sea urchin! 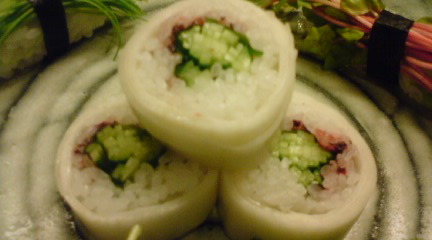 Did you enjoy the pictures?